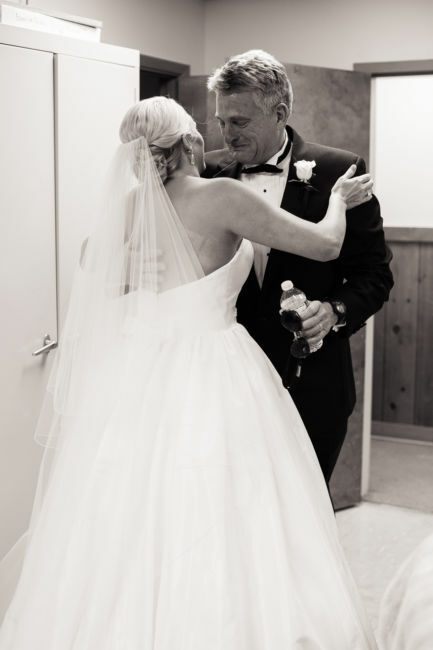 I have always believed that your soul mate can walk around the corner at any given moment. 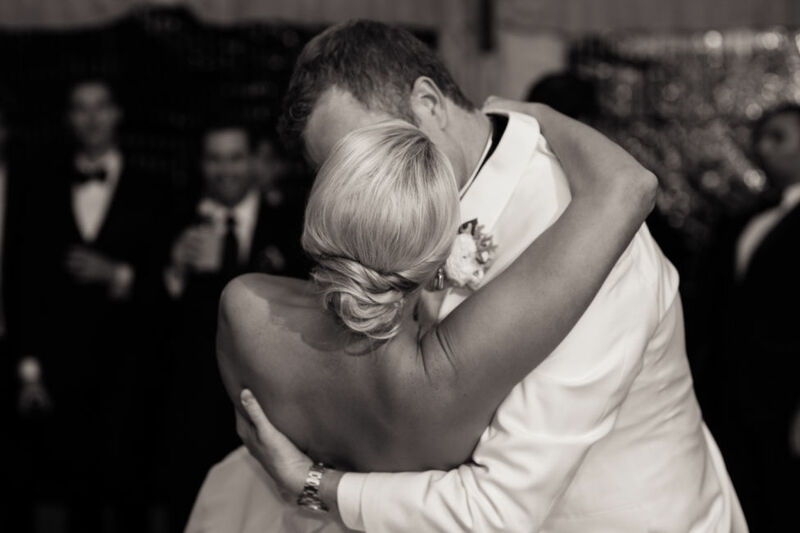 This kind of instant love was affirmed as real when I met Stephanie and Andrew. 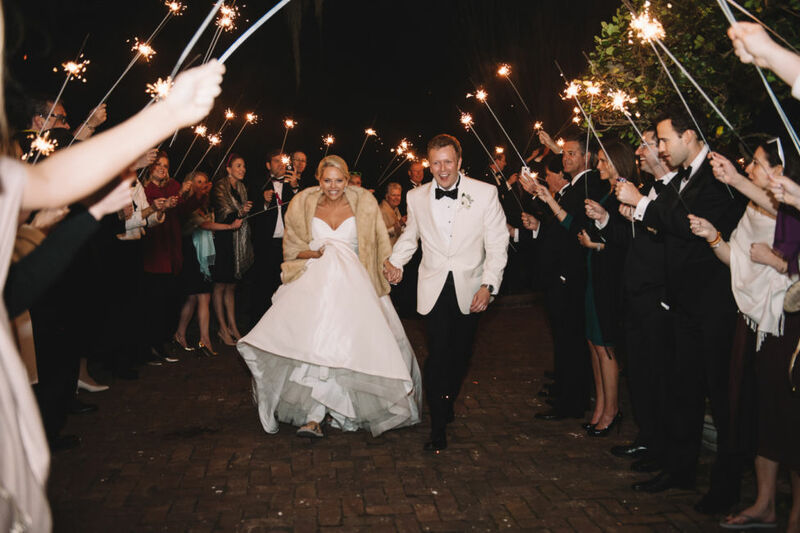 The couple met at a mutual friend’s birthday party and that meeting led to countless date nights to follow. 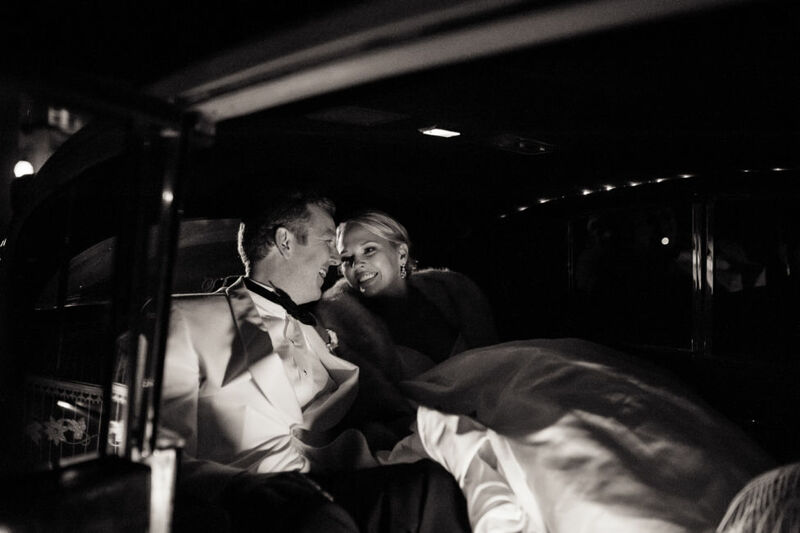 One night in particular, Andrew escorted Stephanie to see Wicked in honor of her recent birthday. 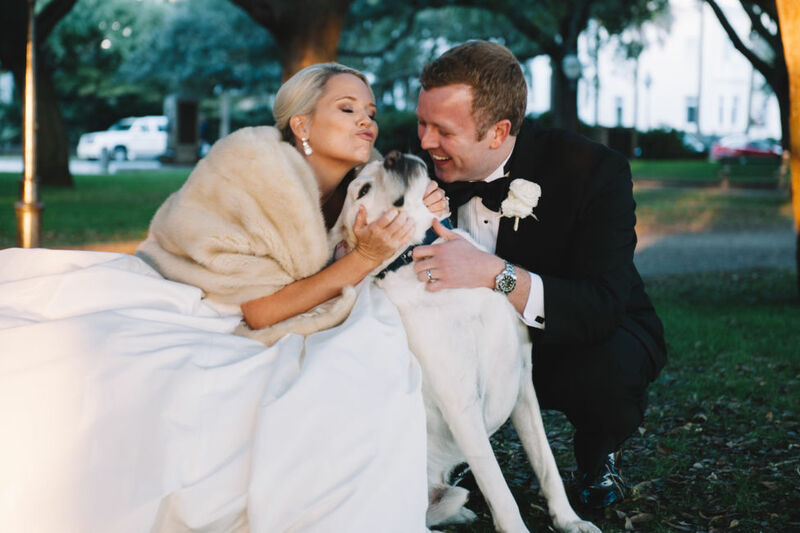 As the couple arrived home that evening, Stephanie had no idea that a typical late night dog walk would turn into a night that she would cherish forever. 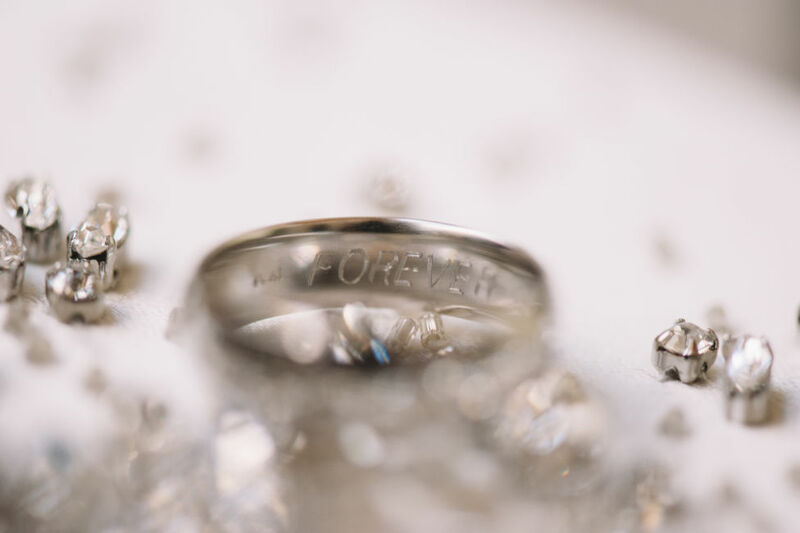 Andrew got down on one knee and popped the question – of course Stephanie said YES! 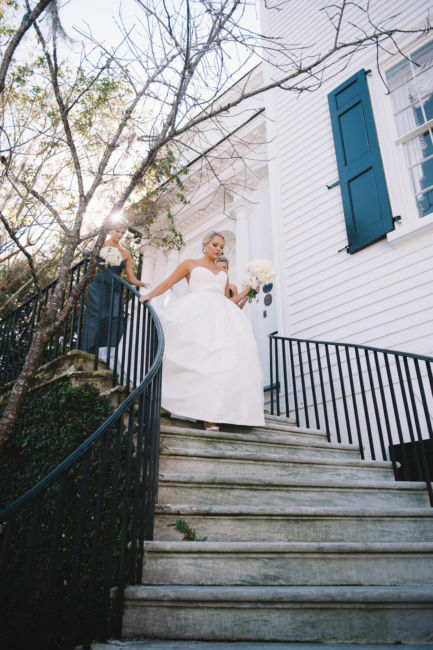 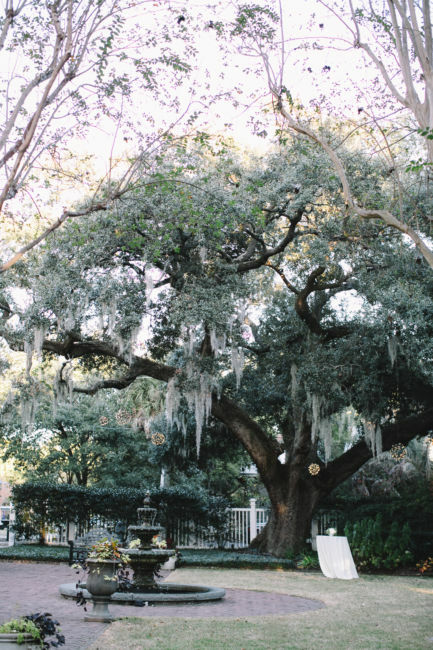 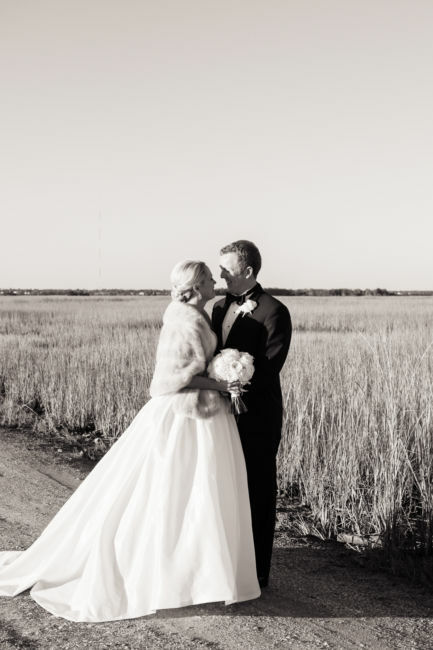 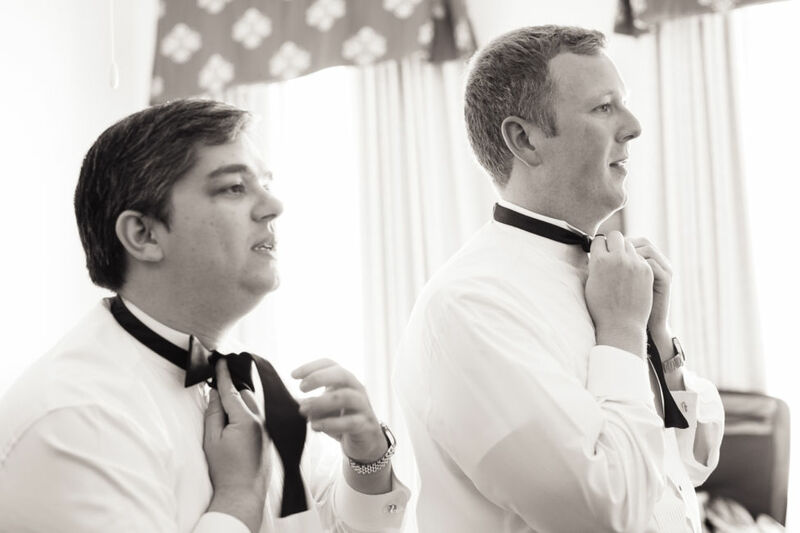 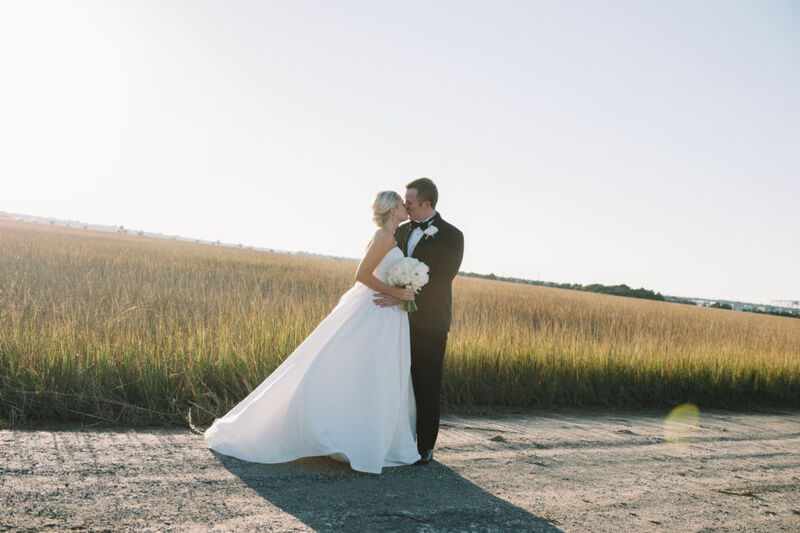 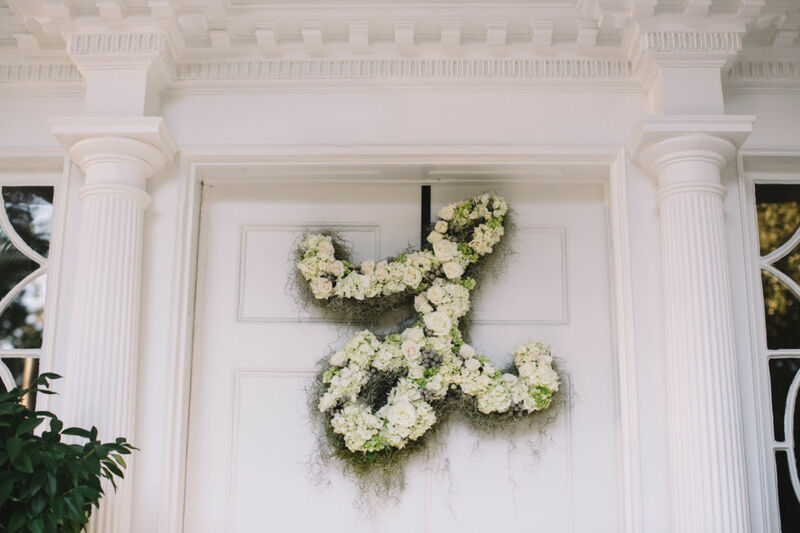 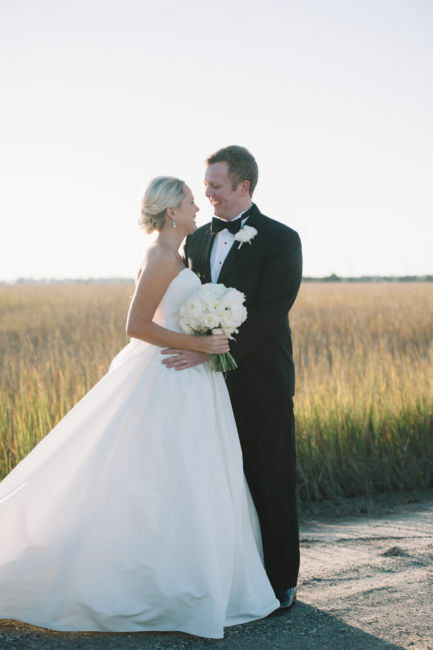 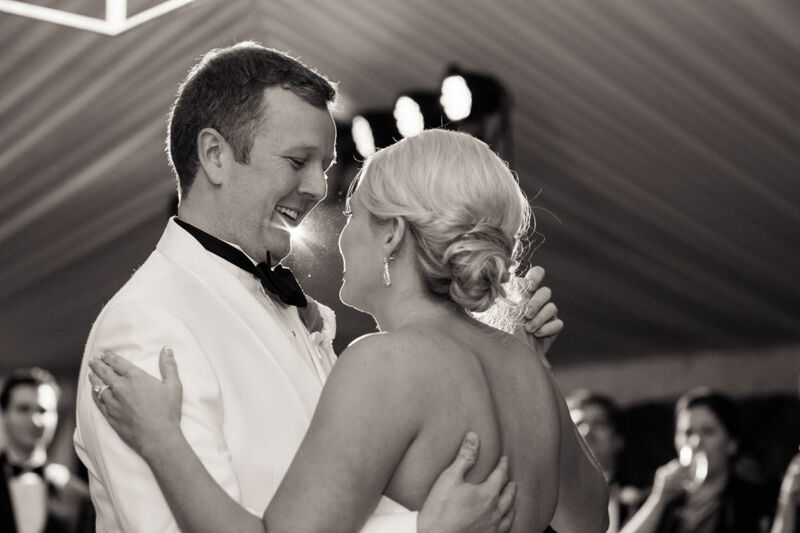 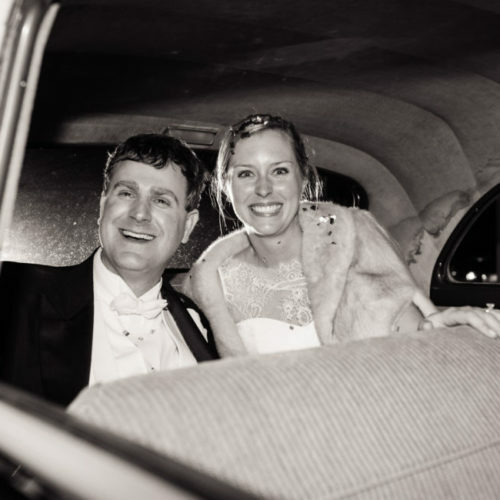 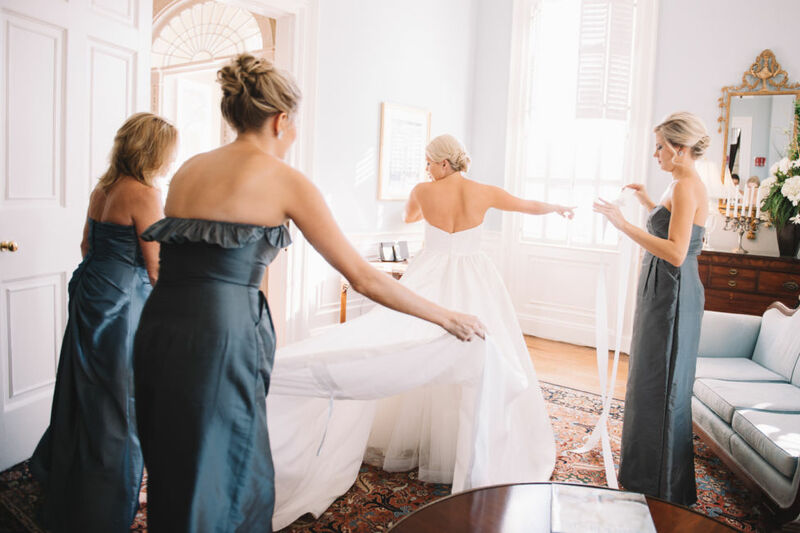 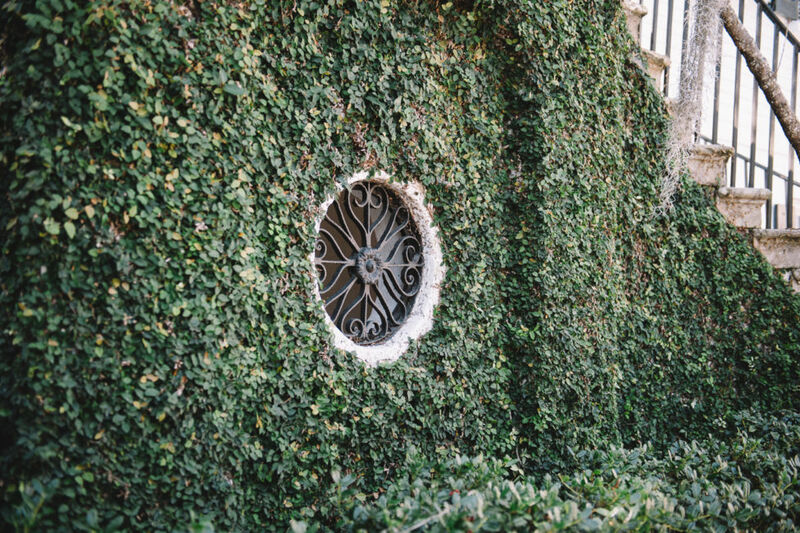 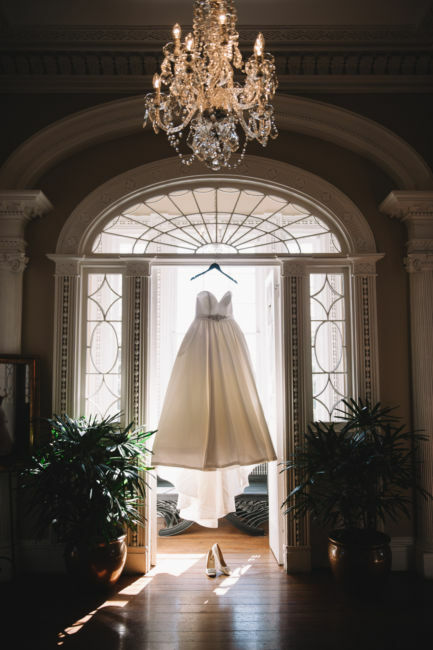 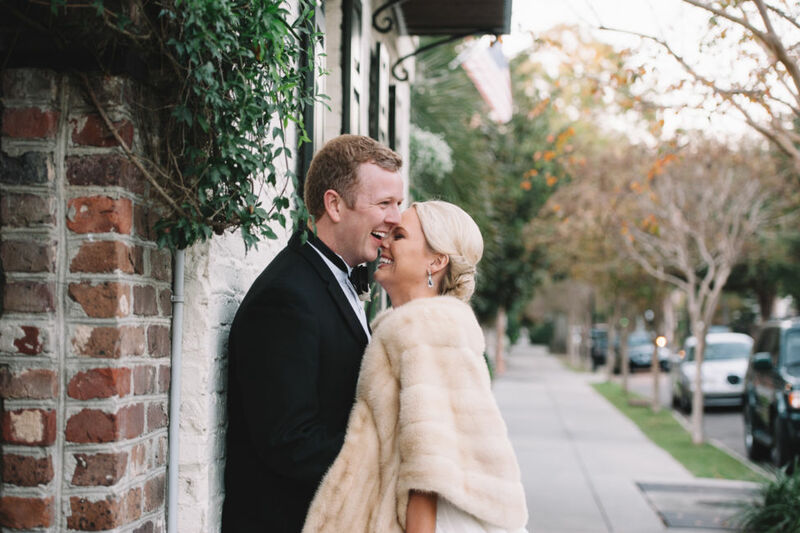 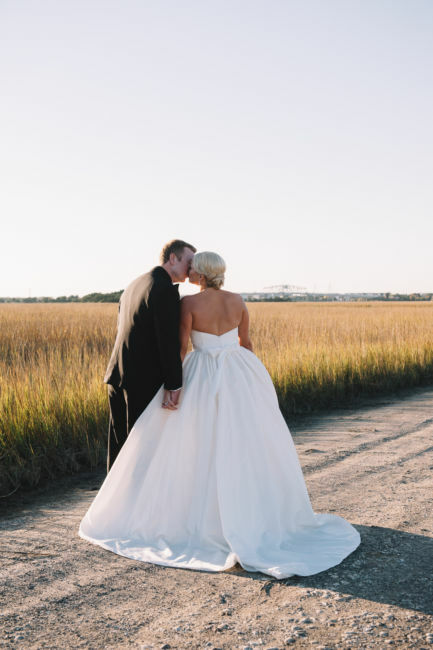 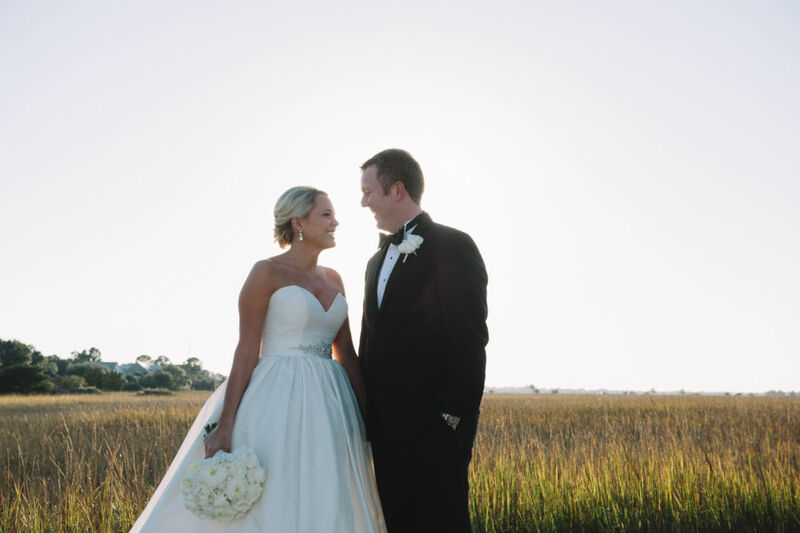 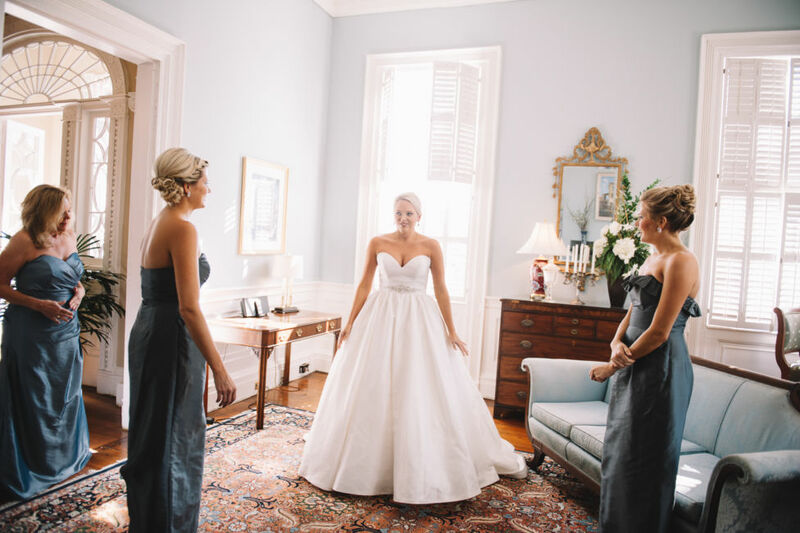 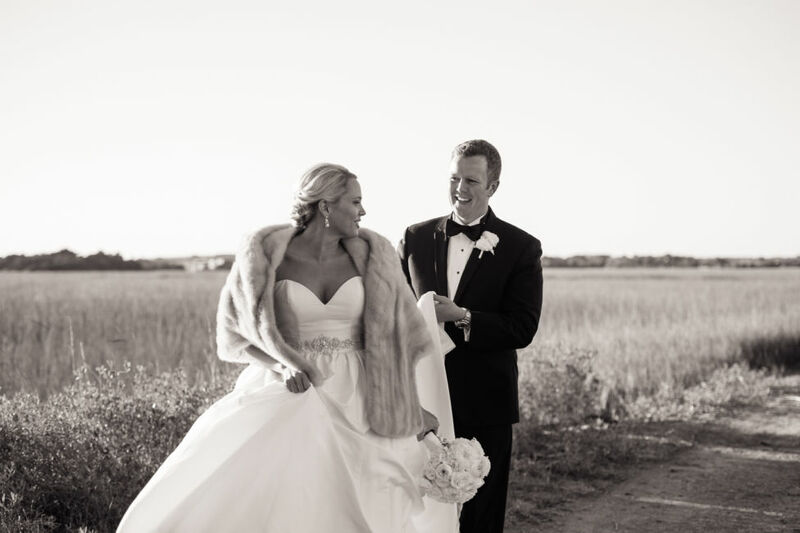 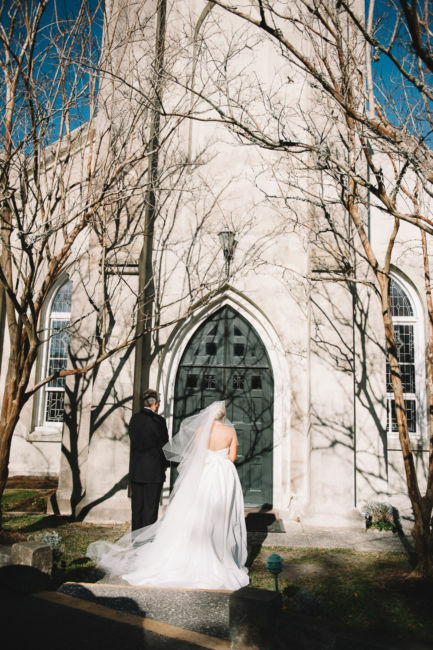 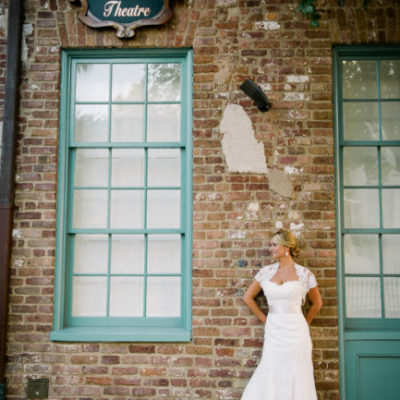 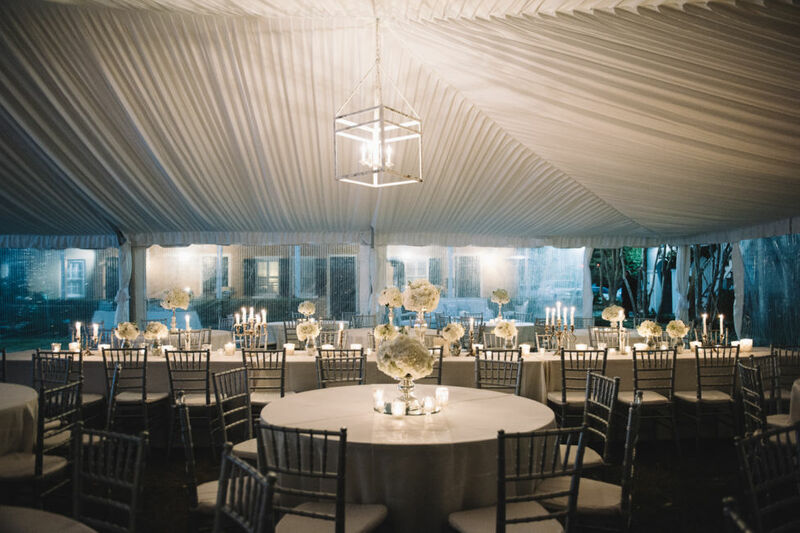 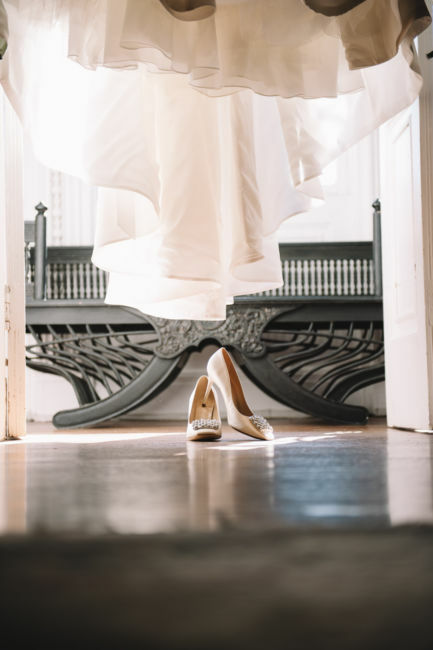 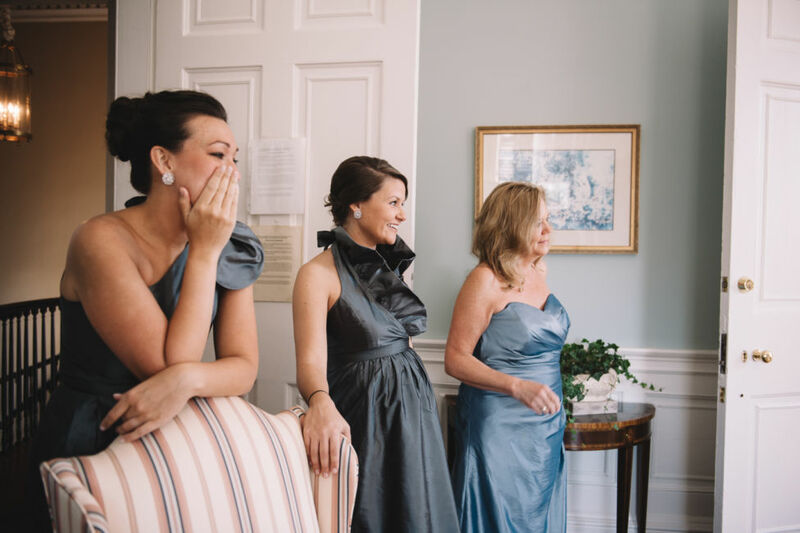 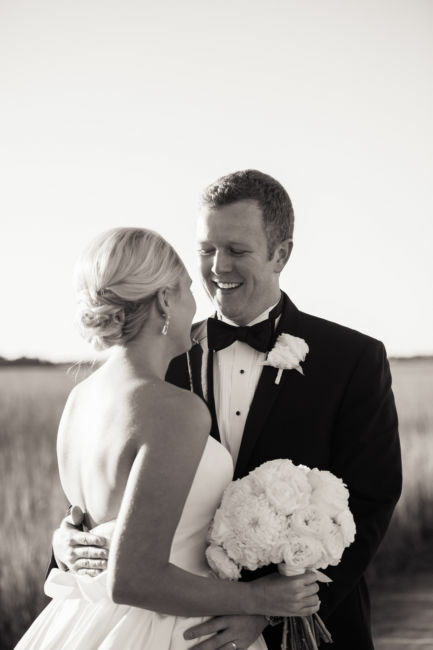 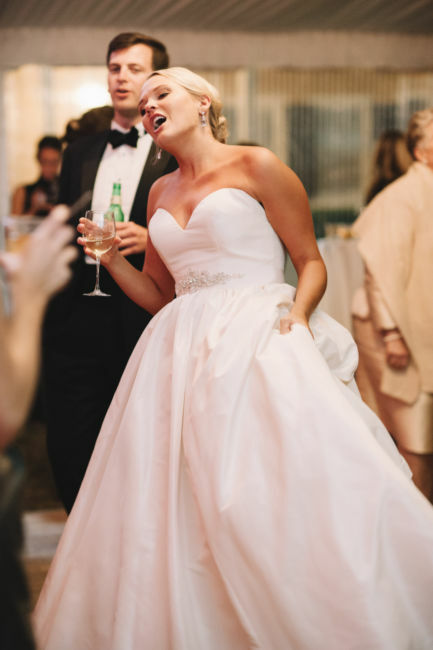 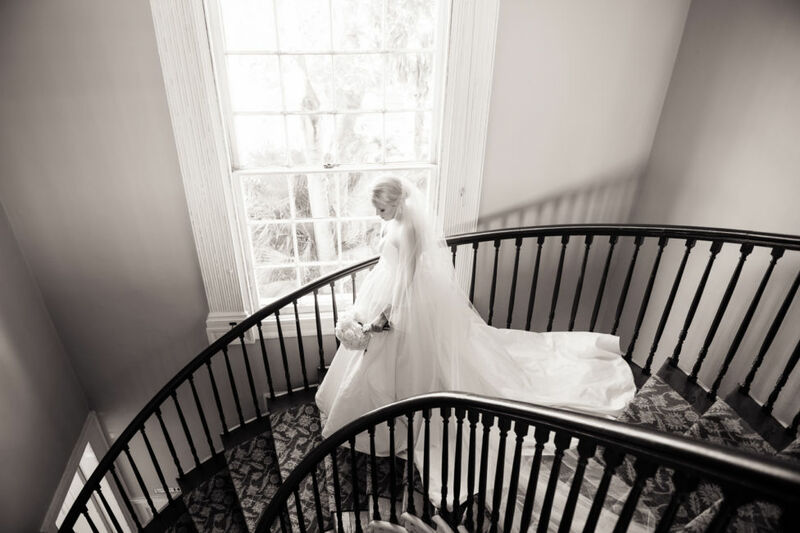 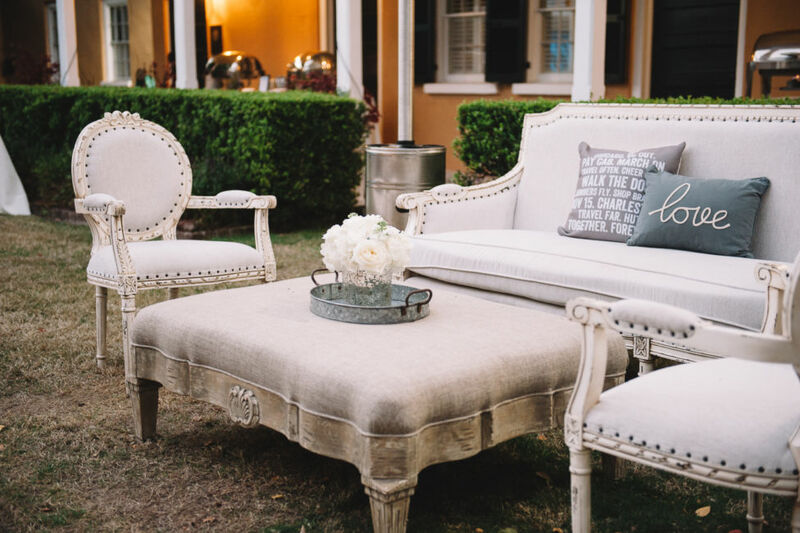 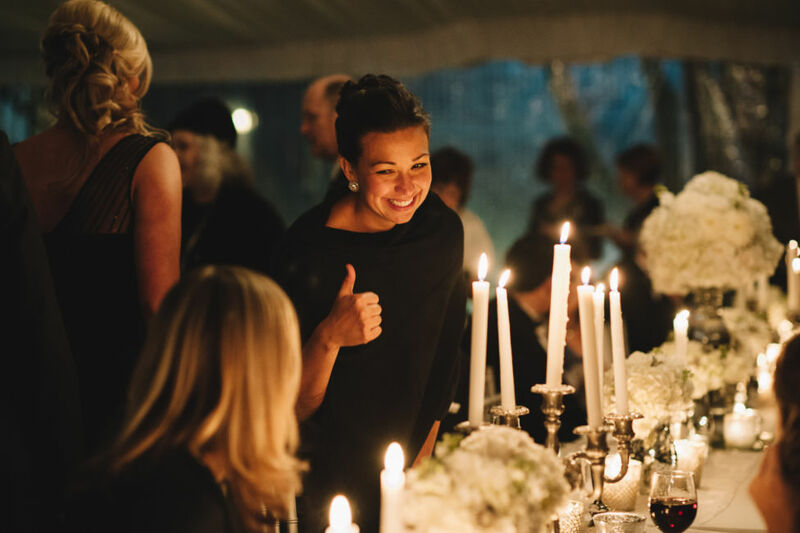 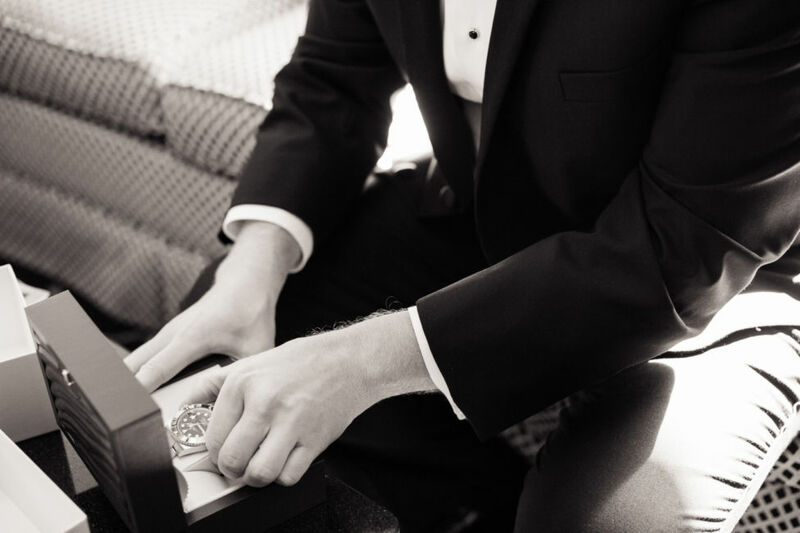 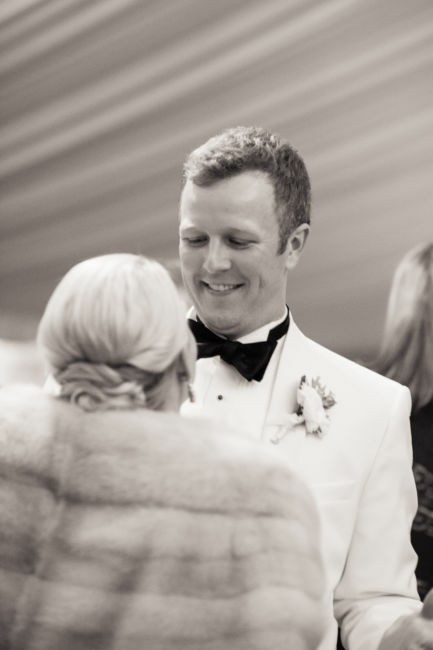 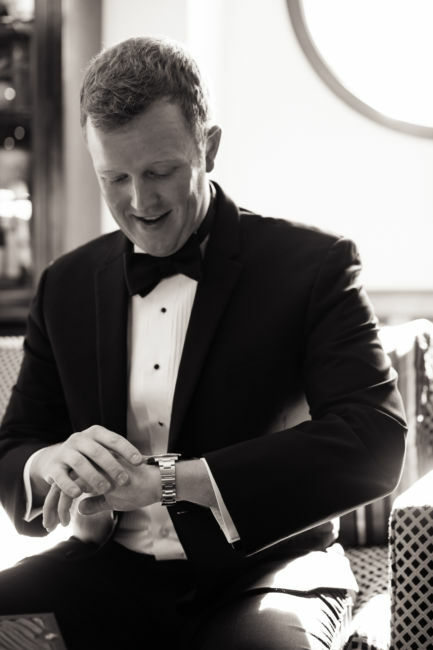 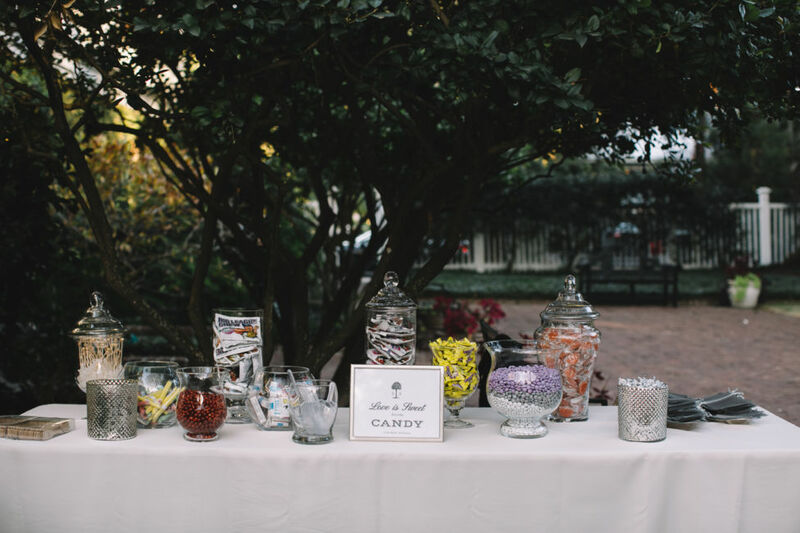 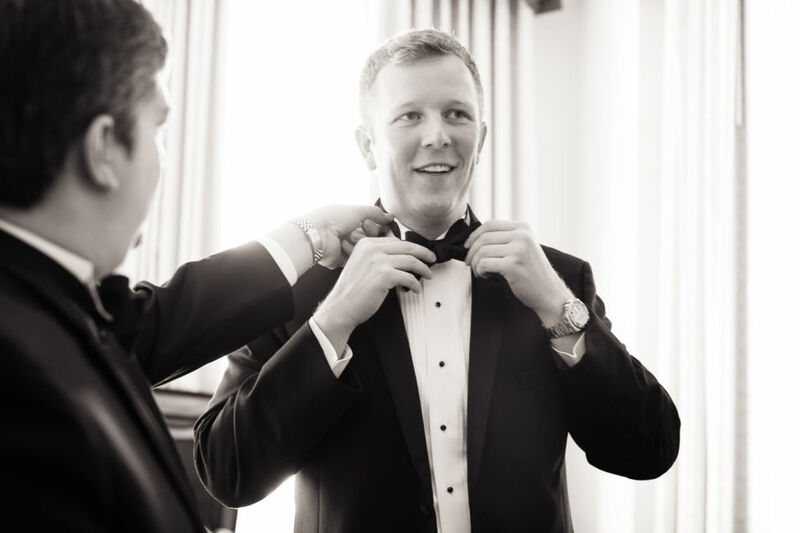 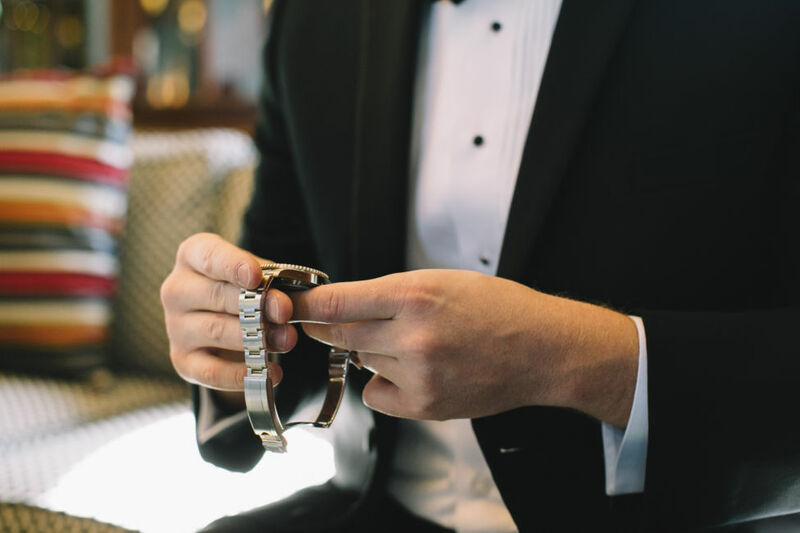 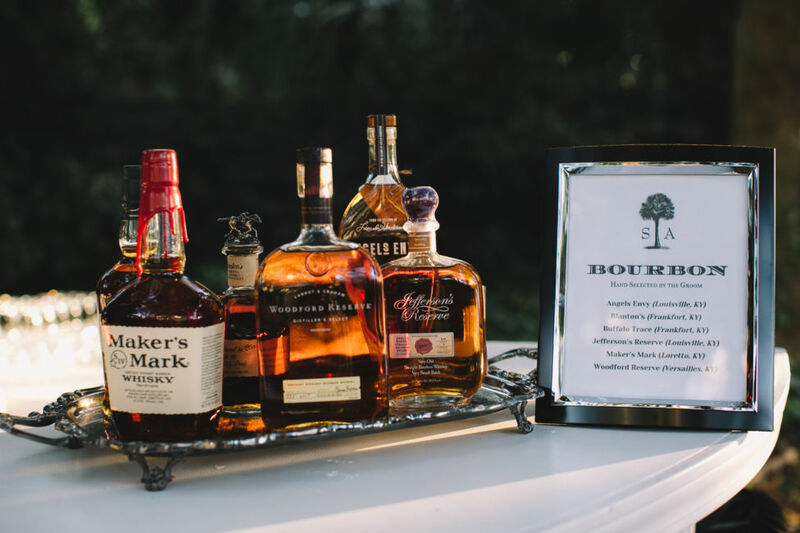 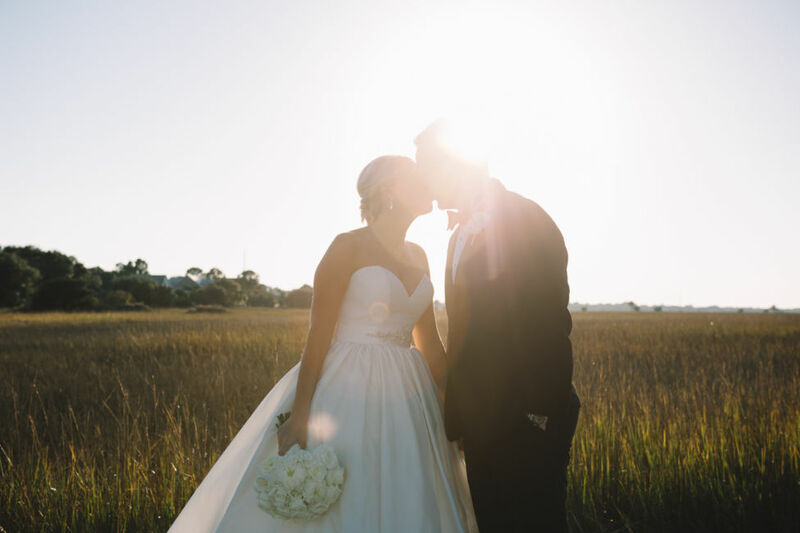 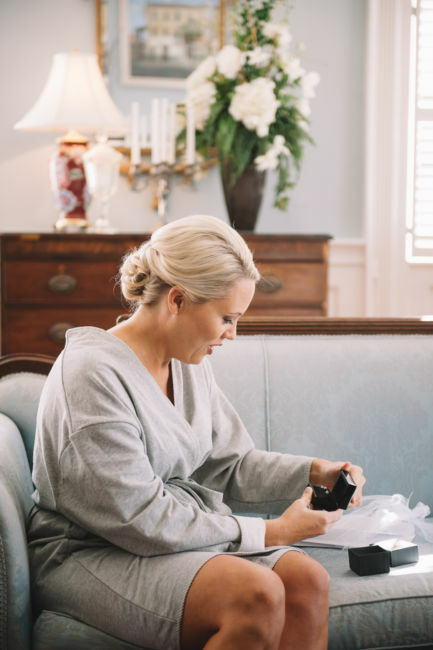 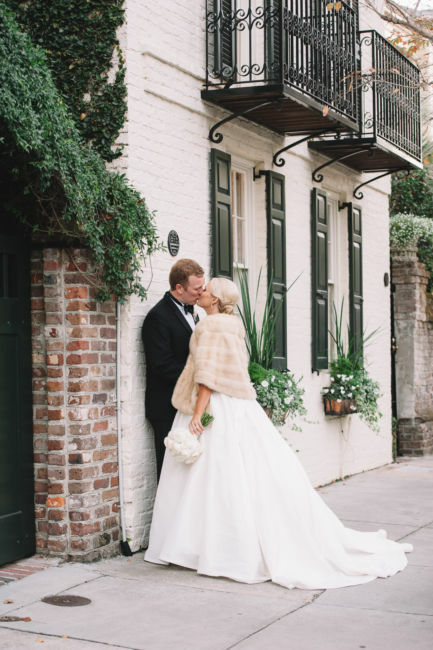 To make the event even more special, Andrew booked a flight for the newly engaged couple to the best destination on Earth – what we locals, and Condé Naste, like to call Charleston! 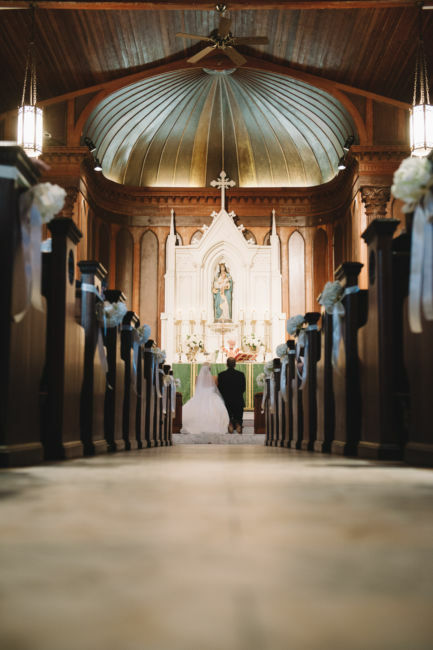 Little did Stephanie know that her parents, sister and friends were awaiting their arrival in the Holy City. 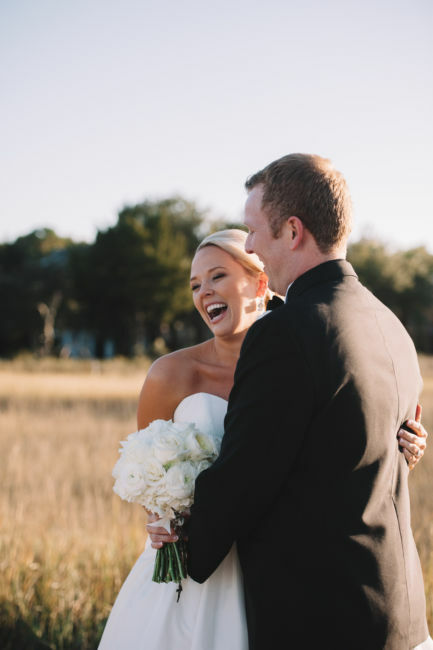 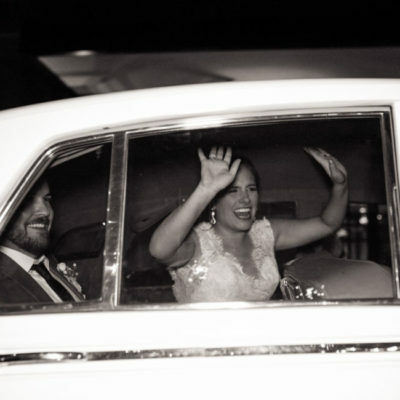 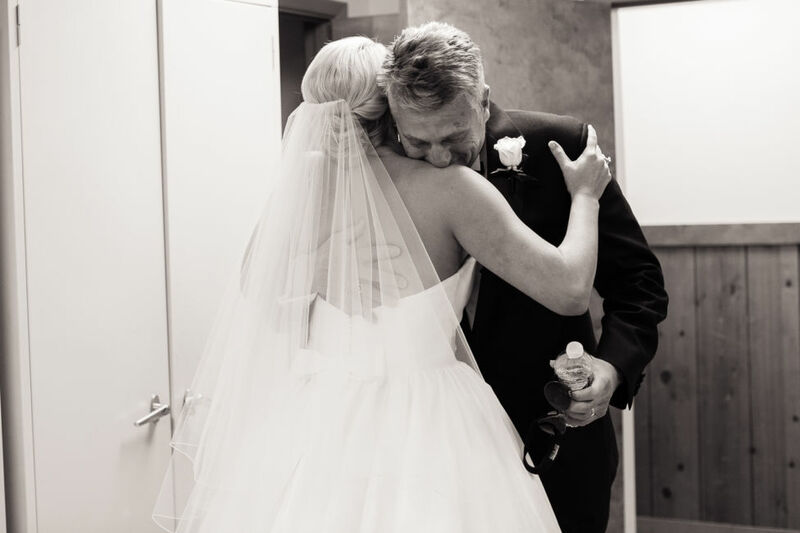 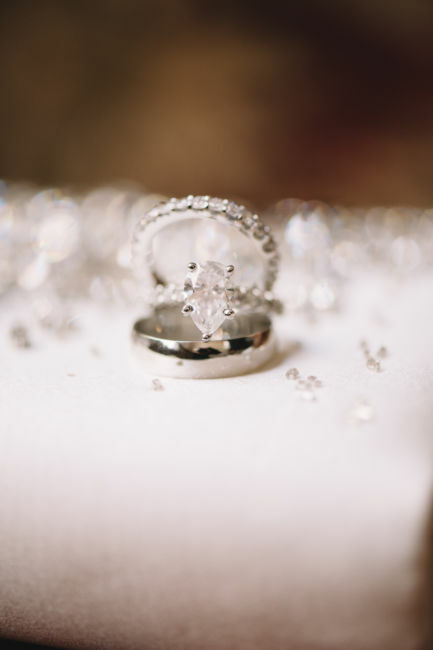 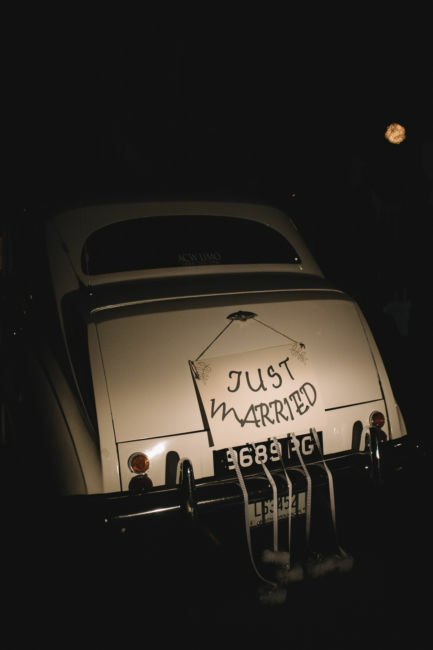 Andrew had planned the entire occasion to make the perfect memory for his bride to be and new family. 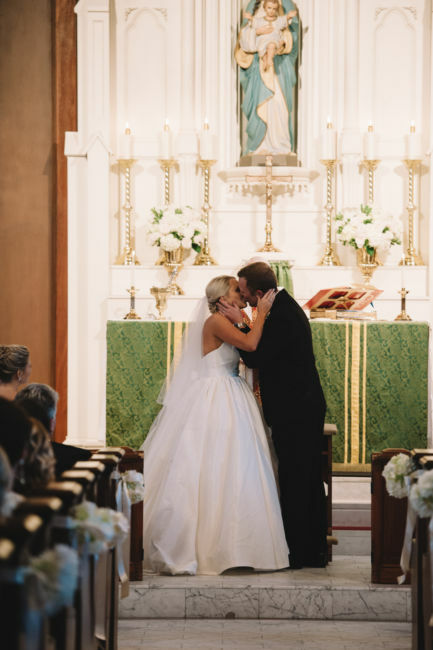 After months of planning, November 15th, 2014 was chosen to be the day to celebrate and cherish this new chapter of Stephanie and Andrew’s lives. 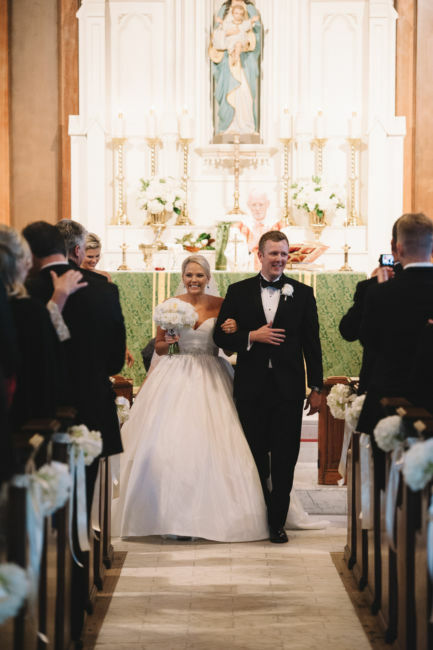 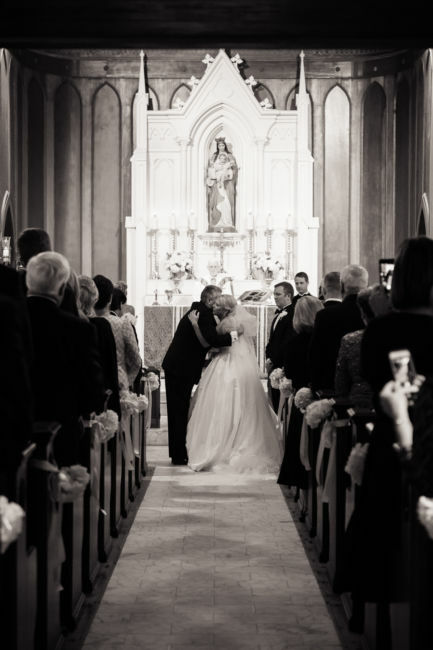 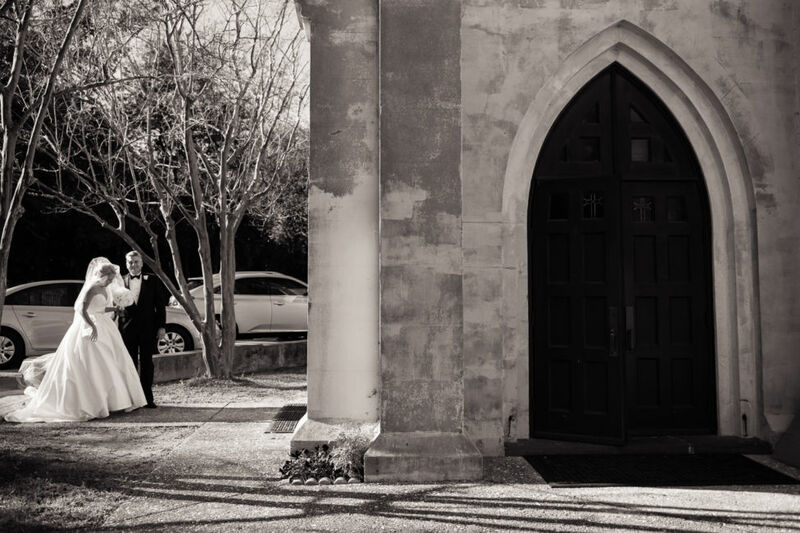 A full Catholic Mass wedding brought together a beautiful group of family and friends to the Stella Maris Church on Sullivan’s Island. 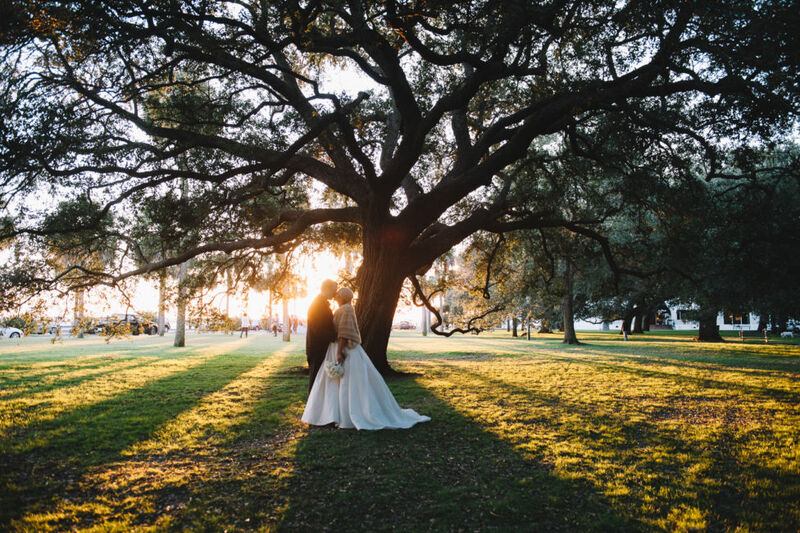 A little chill, bright sunshine, and a beautiful couple made the perfect backdrop to capture the stunning collage of pictures. 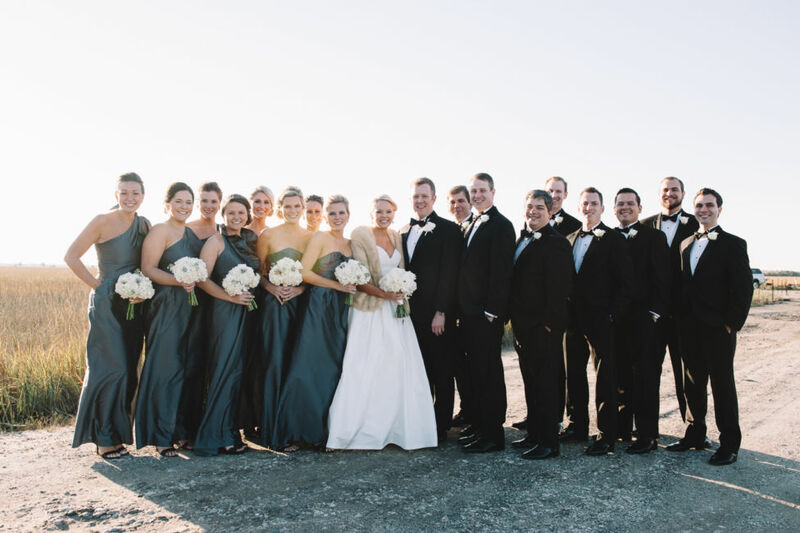 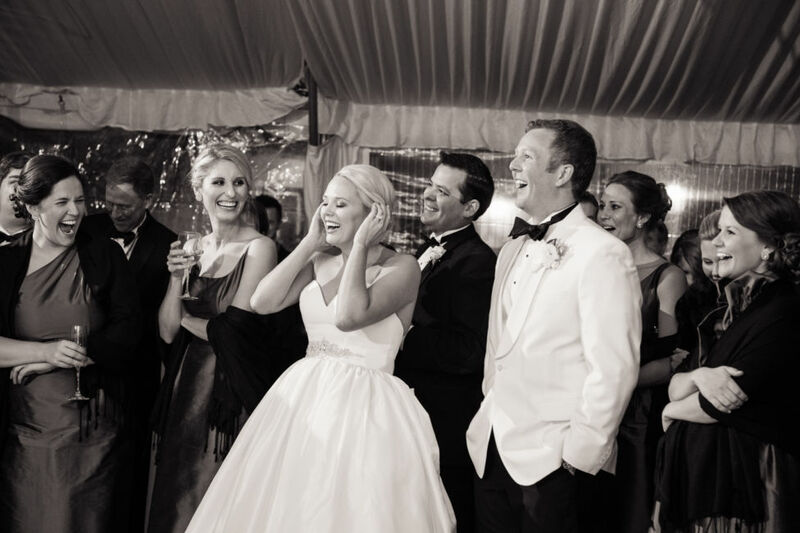 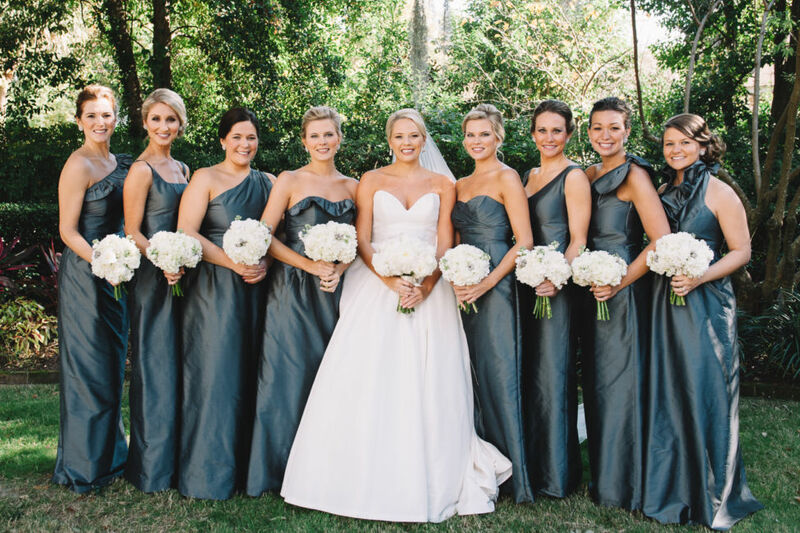 The bride and groom both come from large families who are all very close to one another – which to me made this wedding even more special. 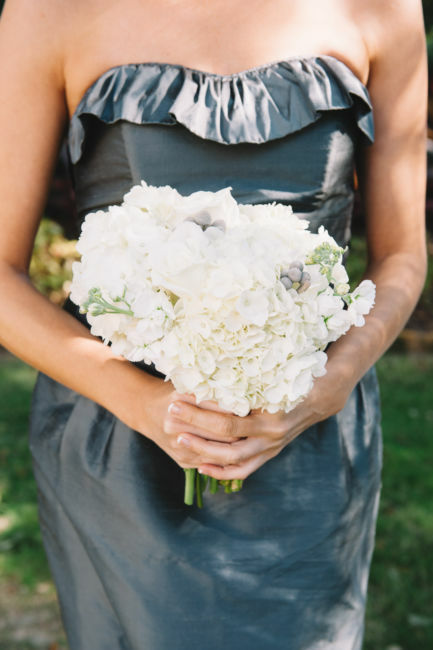 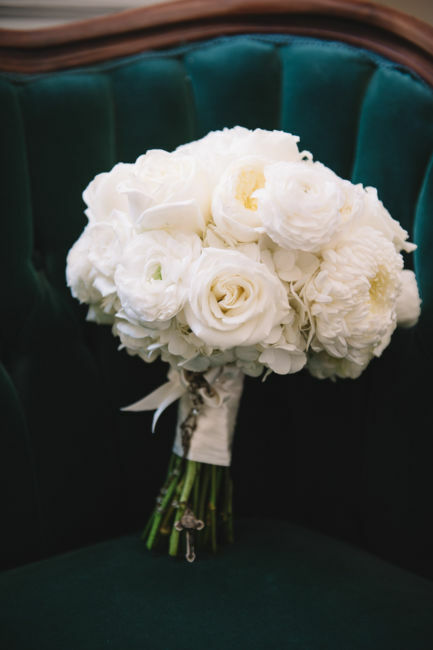 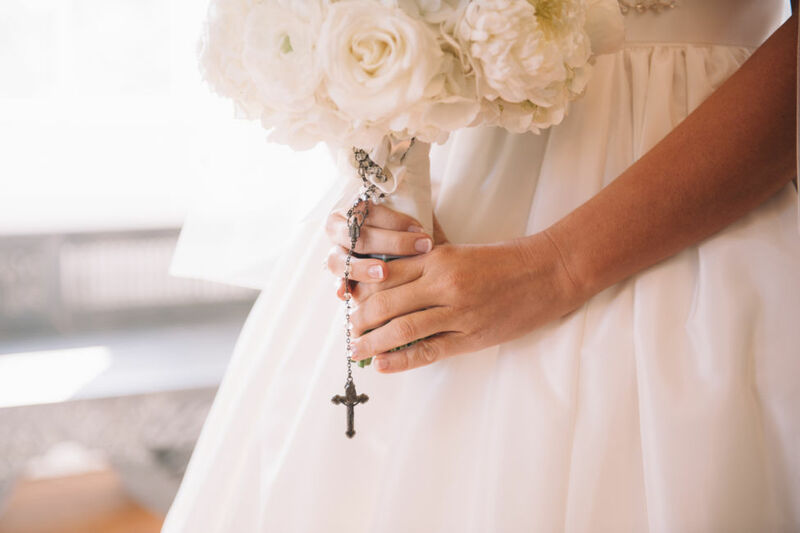 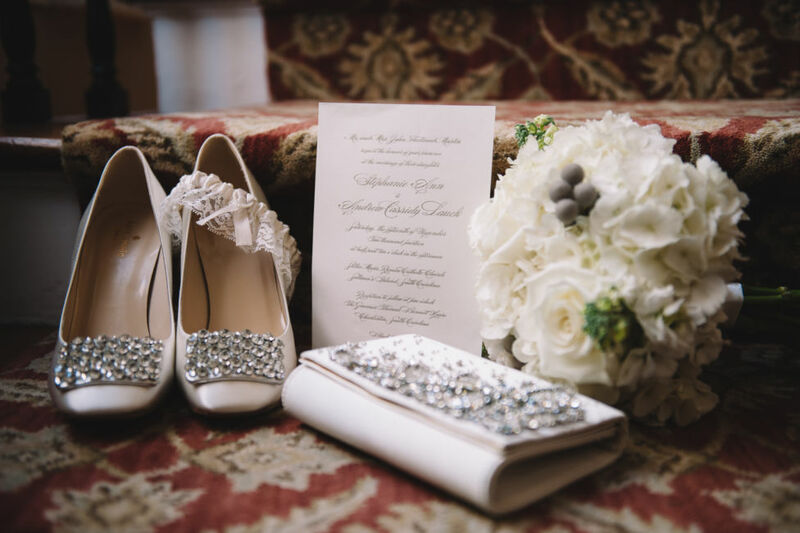 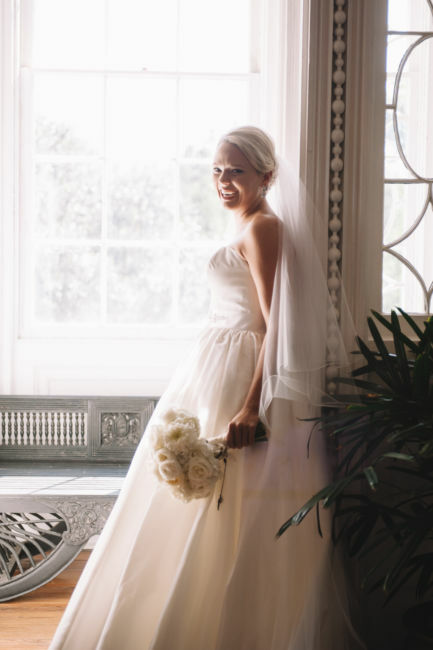 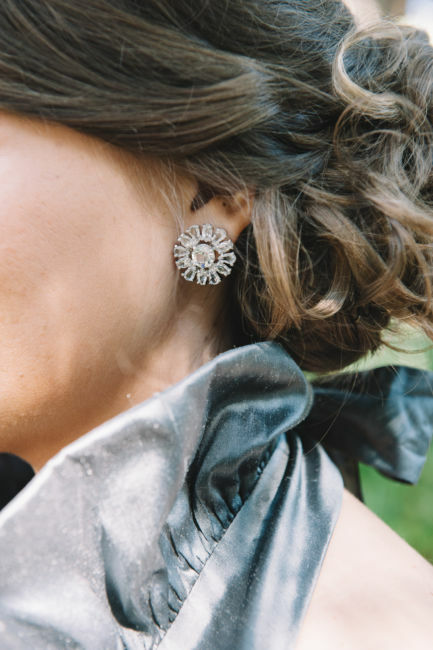 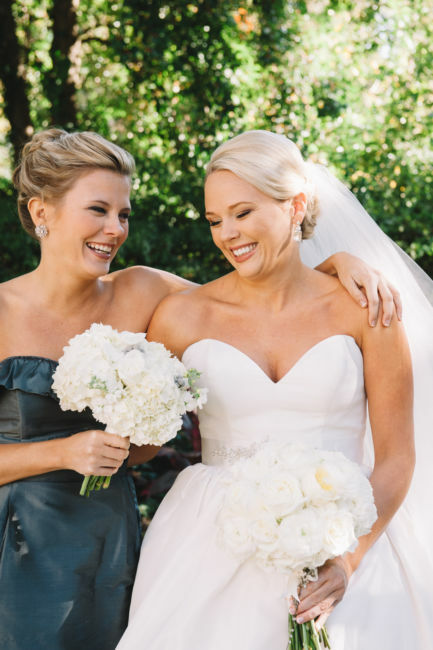 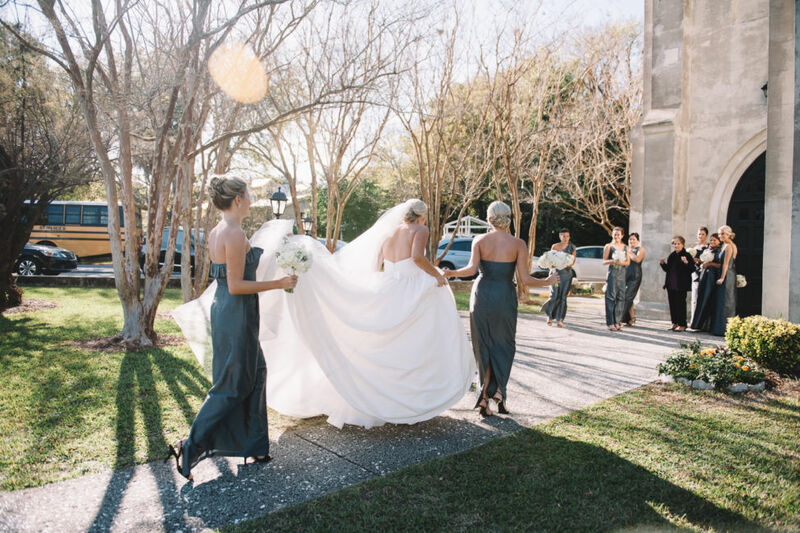 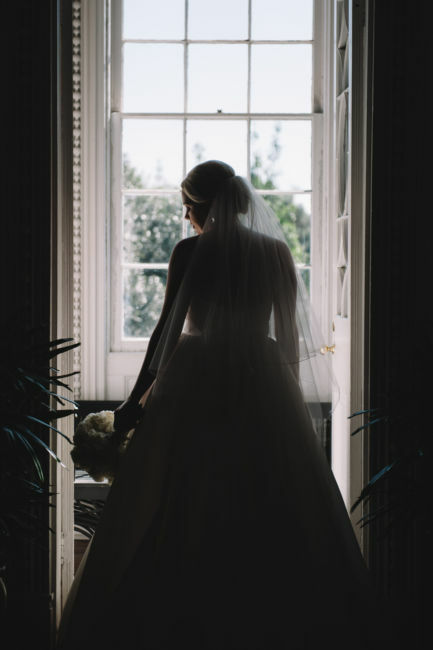 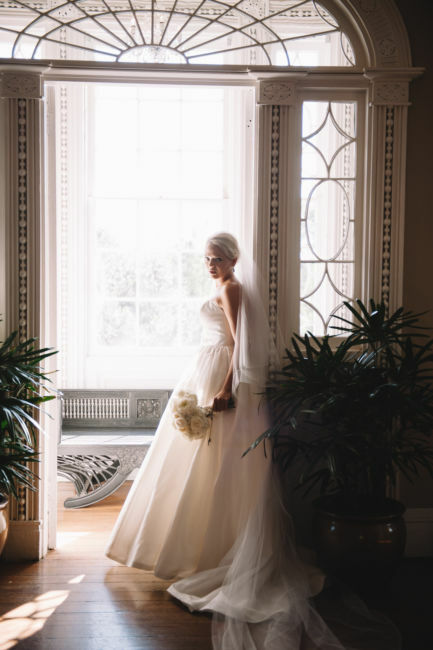 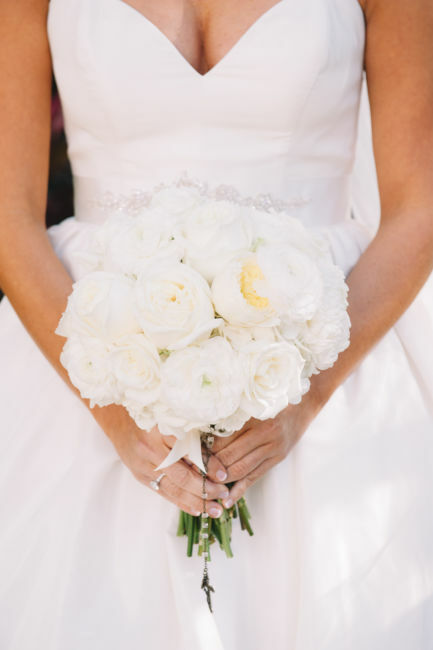 Stephanie looked breathtaking as she walked down the aisle carrying her charming bouquet, which boasted her great grandmother’s rosary around the arrangement of flowers. 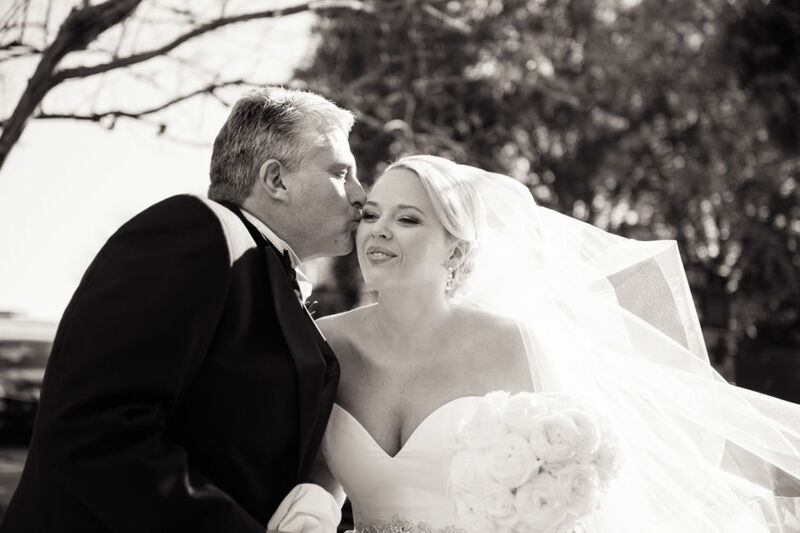 Her A-Line, Essense of Australia dress was stunning as she entered on the arm of her father. 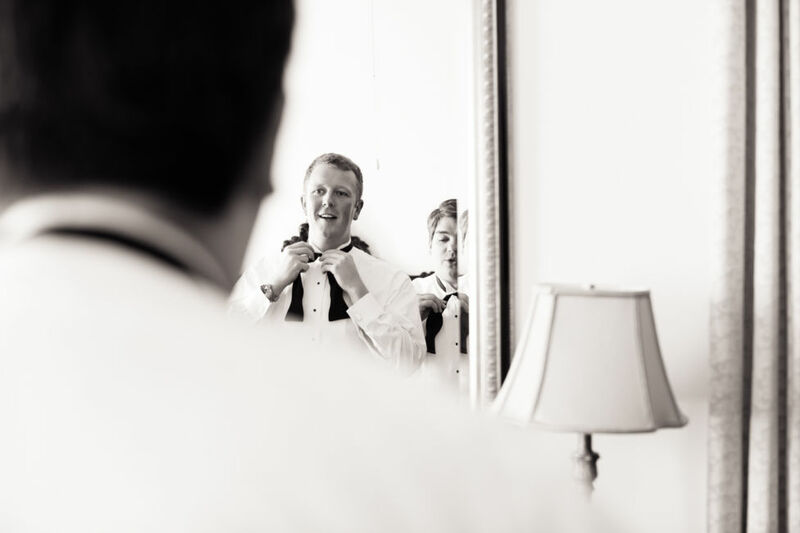 Andrew was watching his bride’s every step. 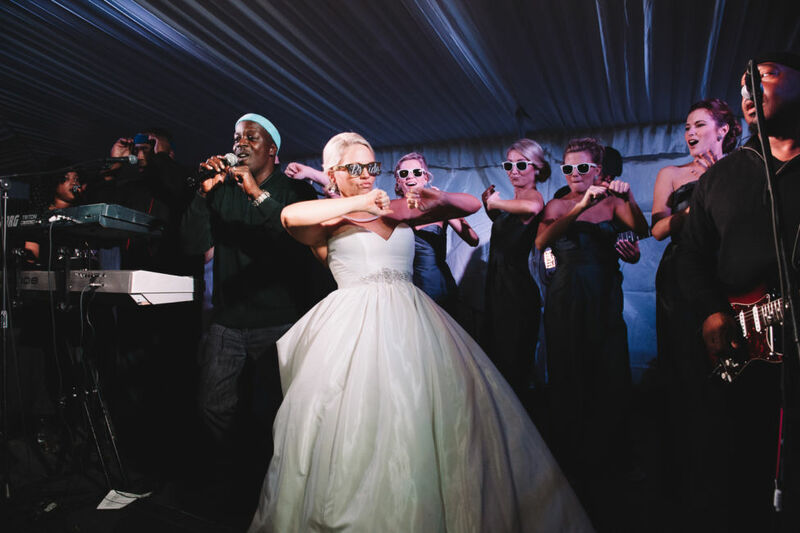 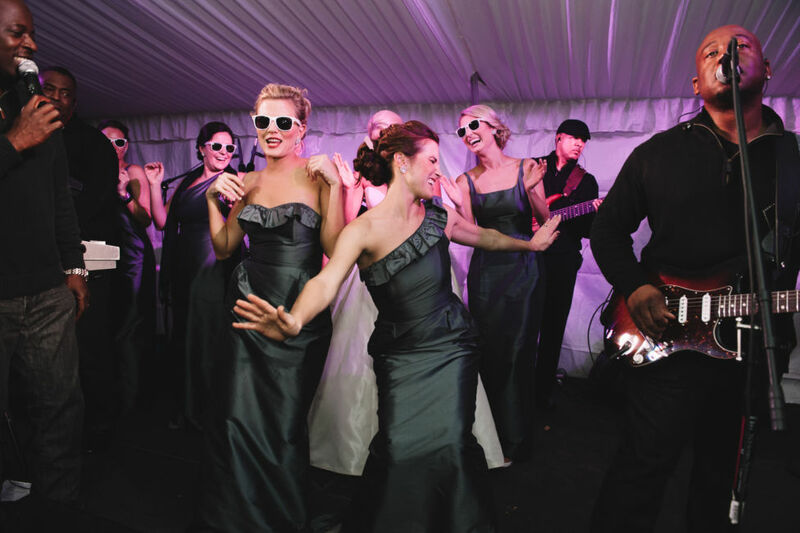 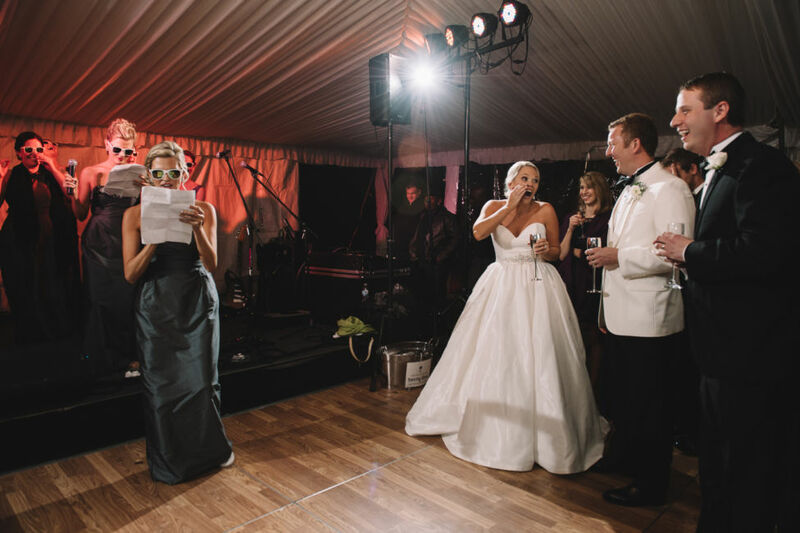 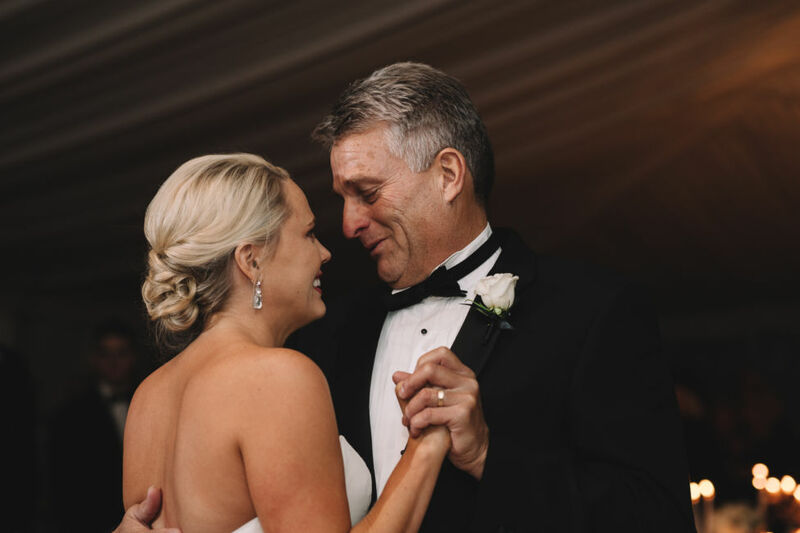 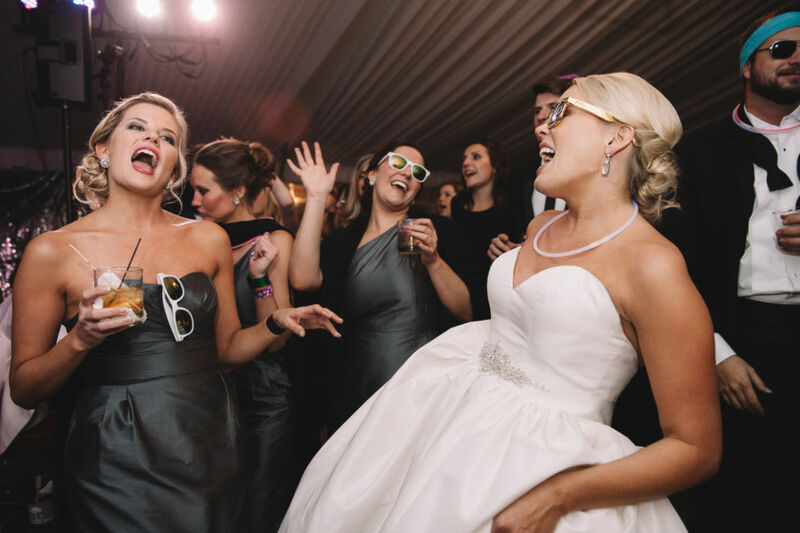 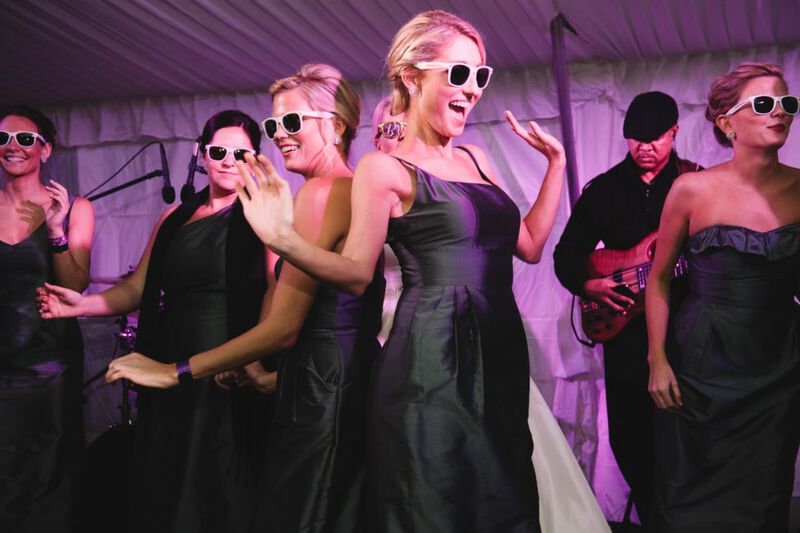 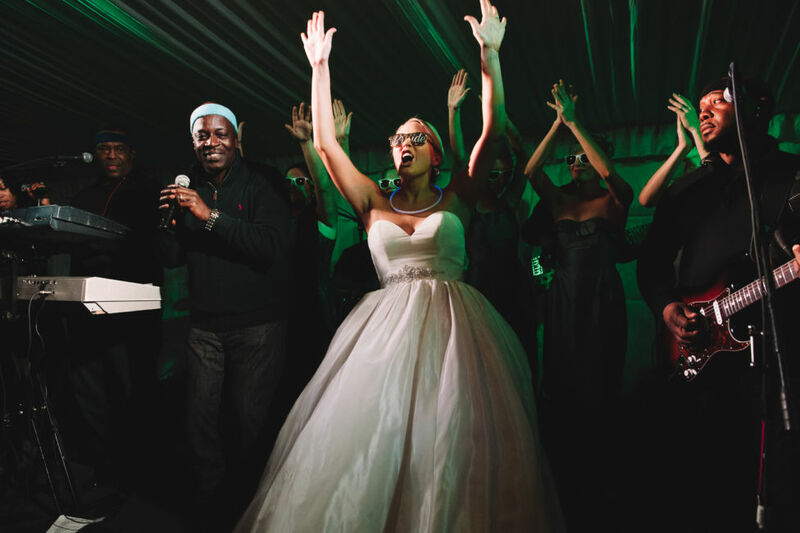 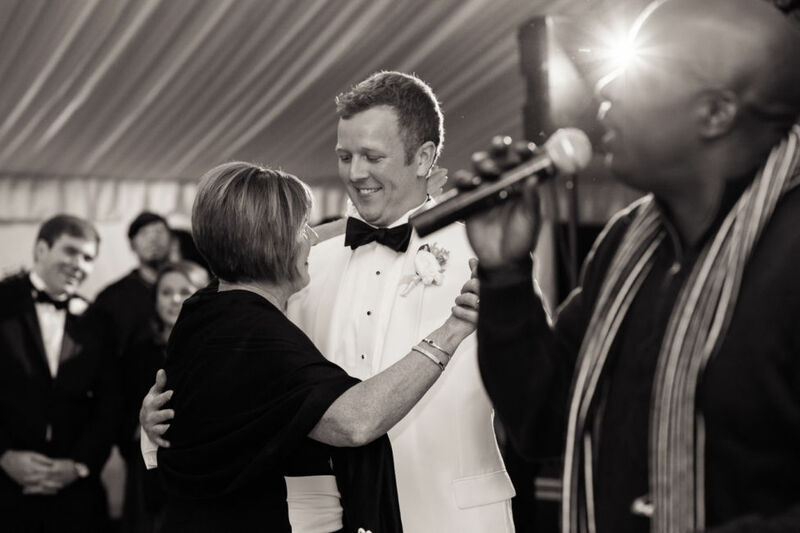 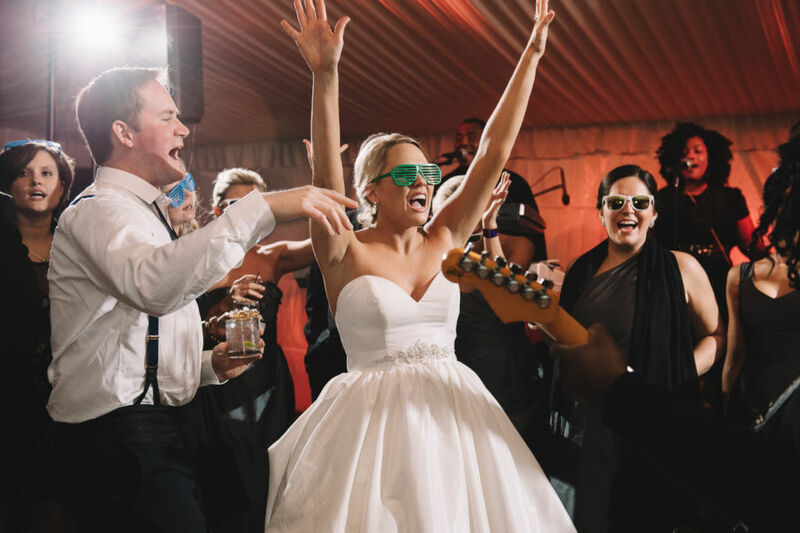 The Governor Thomas Bennett House was rocking as the newlywed couple, along with their family and friends danced the night away to the magical sounds of the Finesse Band! 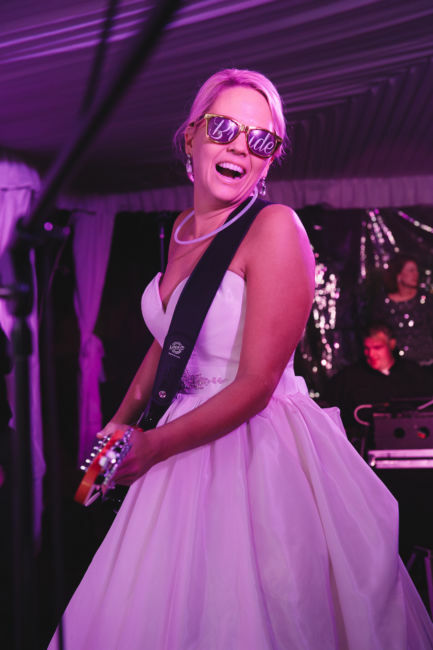 Stephanie’s main goal was for family and friends to have the time of their lives enjoying the company, great food and fun band! 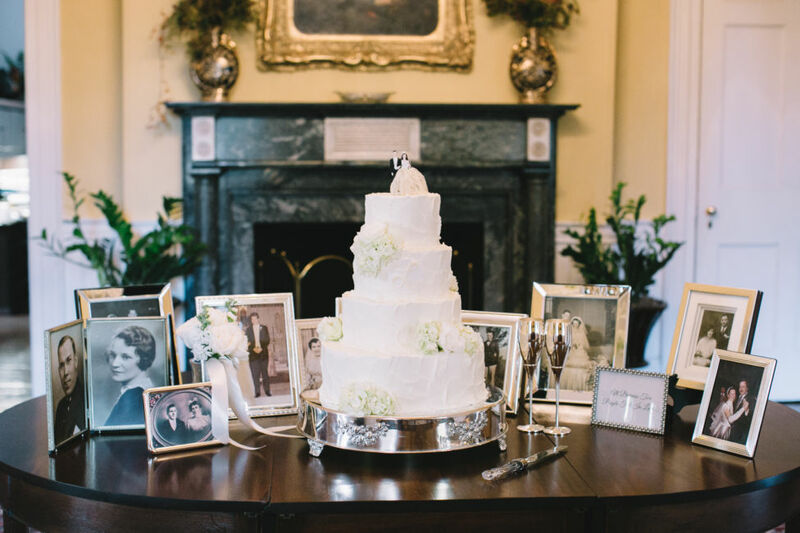 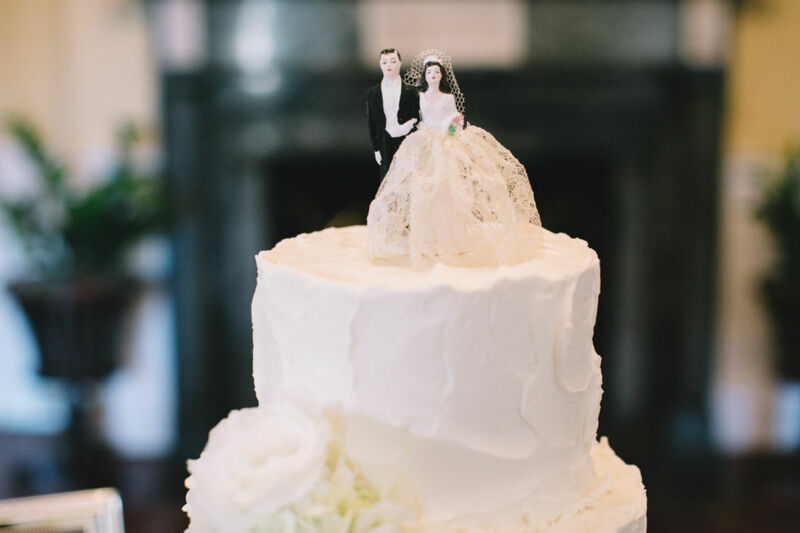 The four-tier wedding cake, made by The Cake Stand, was topped with the bride’s paternal grandparents’ cake topper. 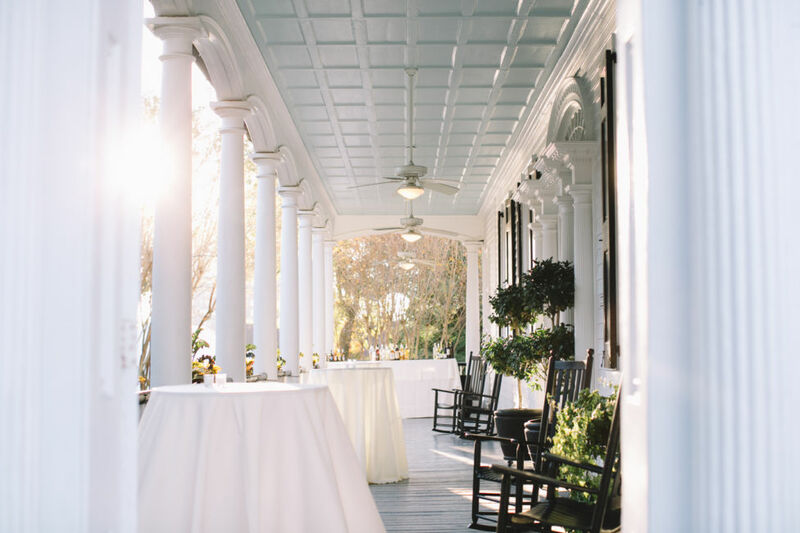 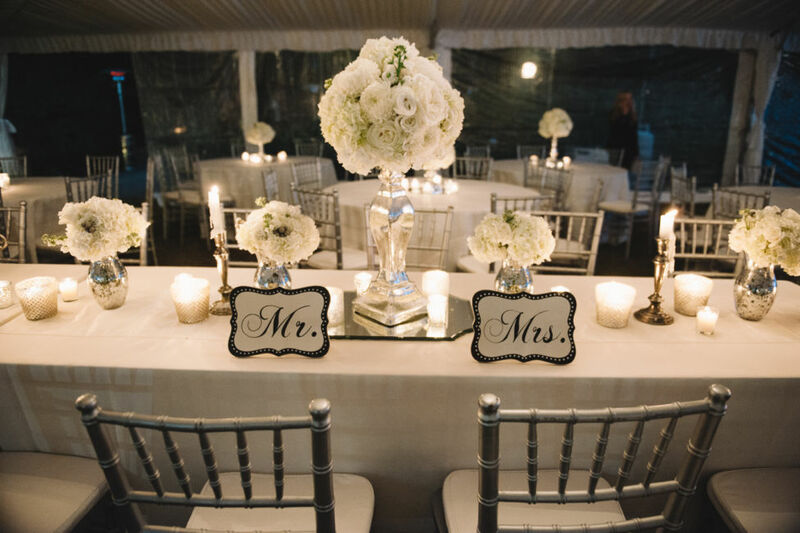 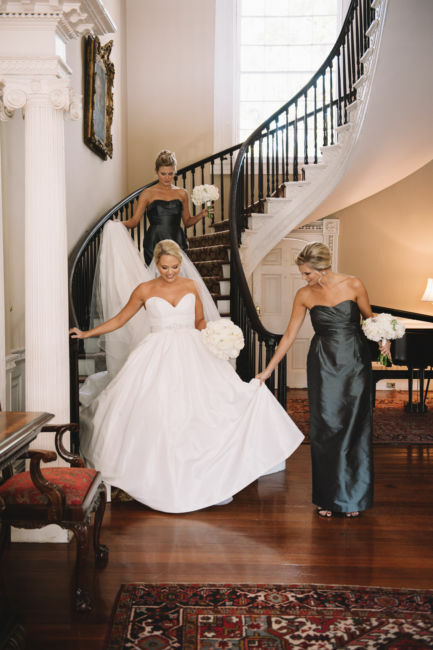 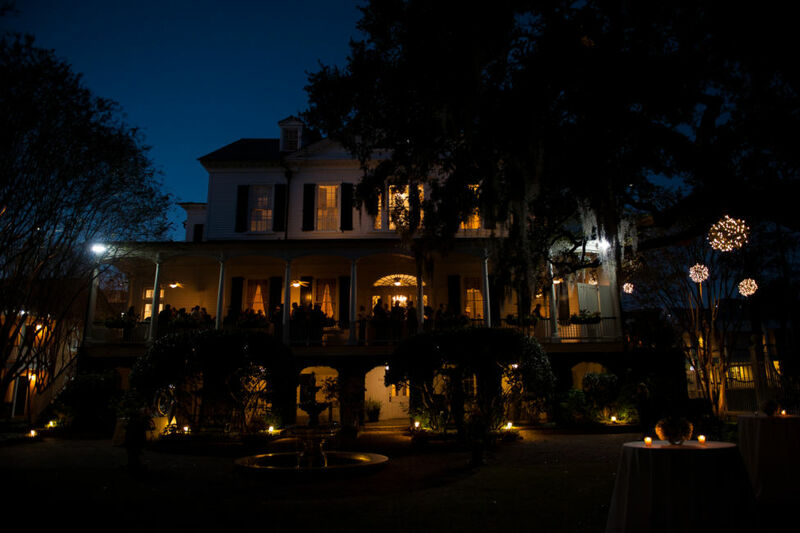 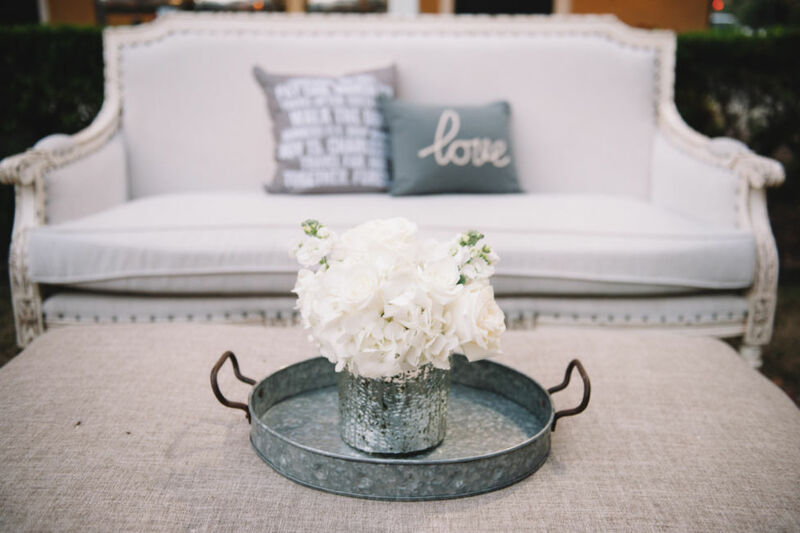 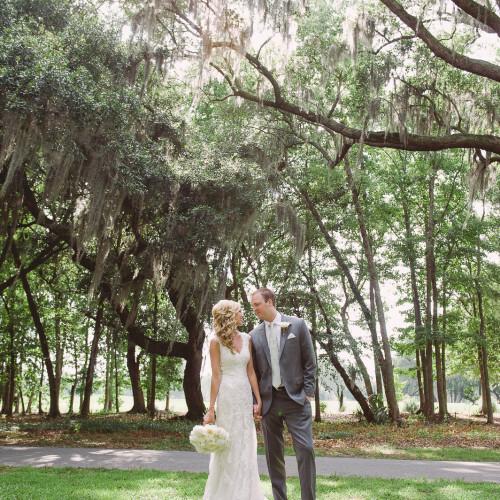 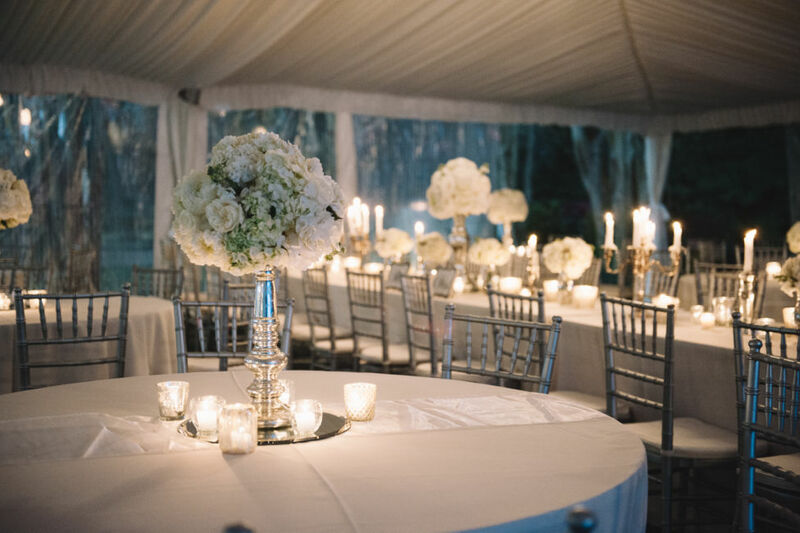 The hall was decorated in a southern classic feel, adorned with romantic candles. 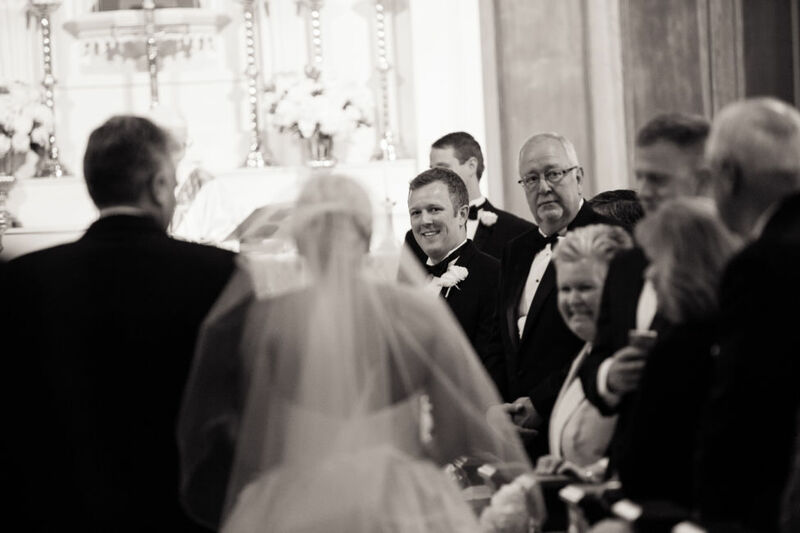 During the wedding toast Stephanie’s father was glowing while he spoke about his sweet girl. 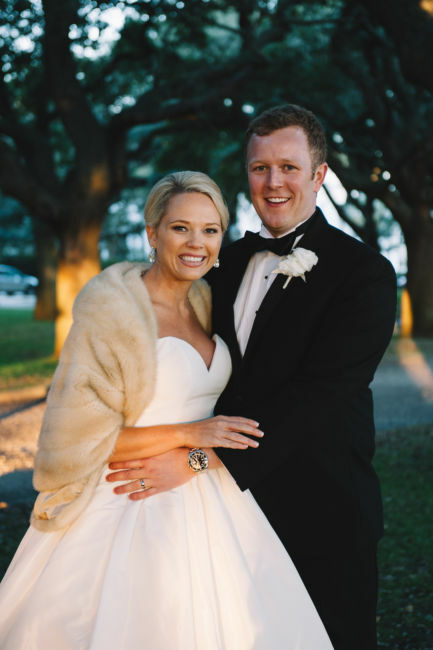 He explained how proud he was of Stephanie for being so dedicated to her work and climbing the corporate ladder at 3M and now Pepsi. 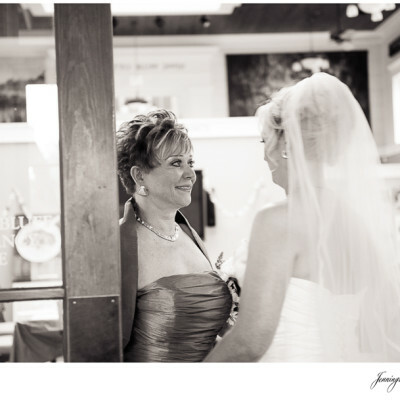 A special thanks to Stephanie, Andrew and both your families for letting me capture this incredible wedding. 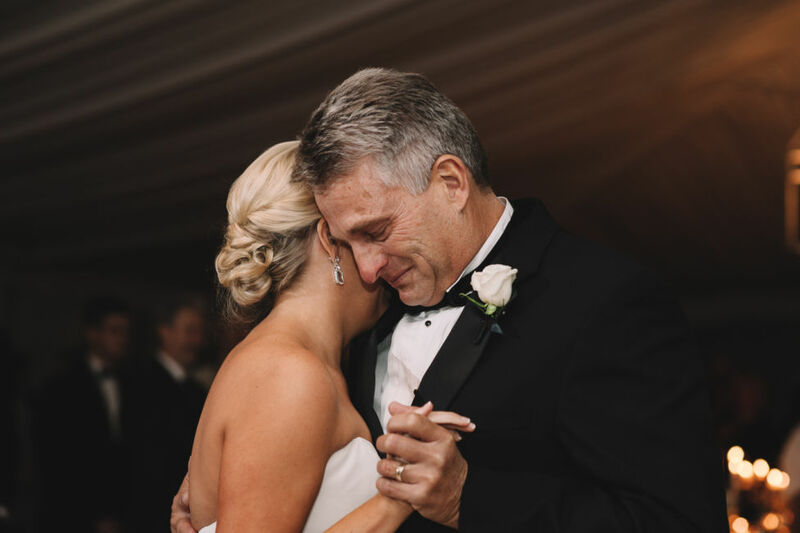 The joy of your love makes this job the best in the world! 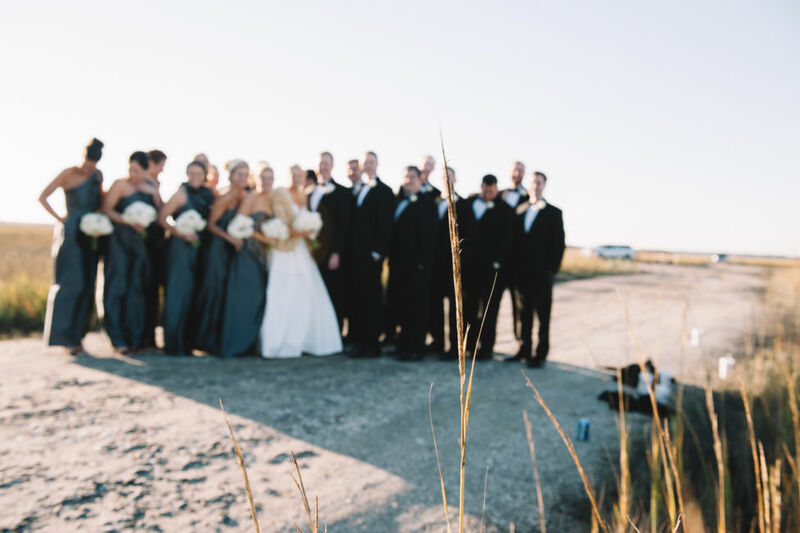 Another fun wedding with my second shooter Taylor Rae, thanks again girl! 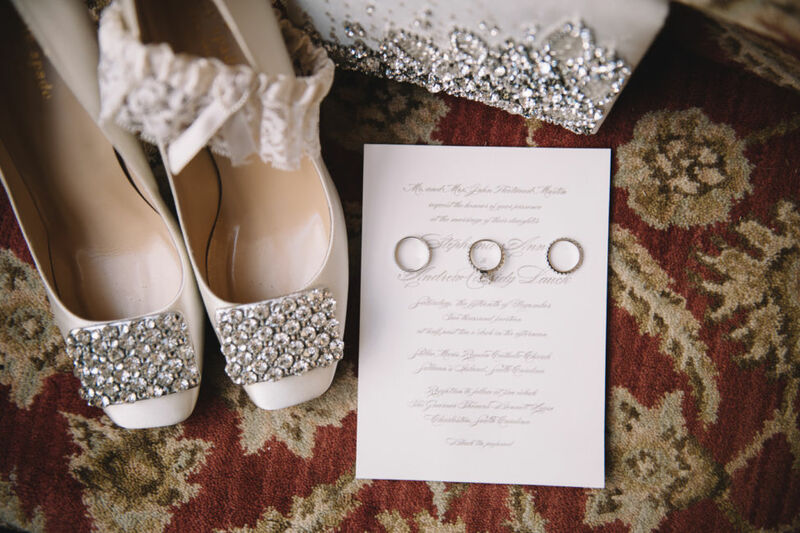 Wedding Invitations: Crane and Co.
Save-The-Date Cards: Greenbean Paper Co.